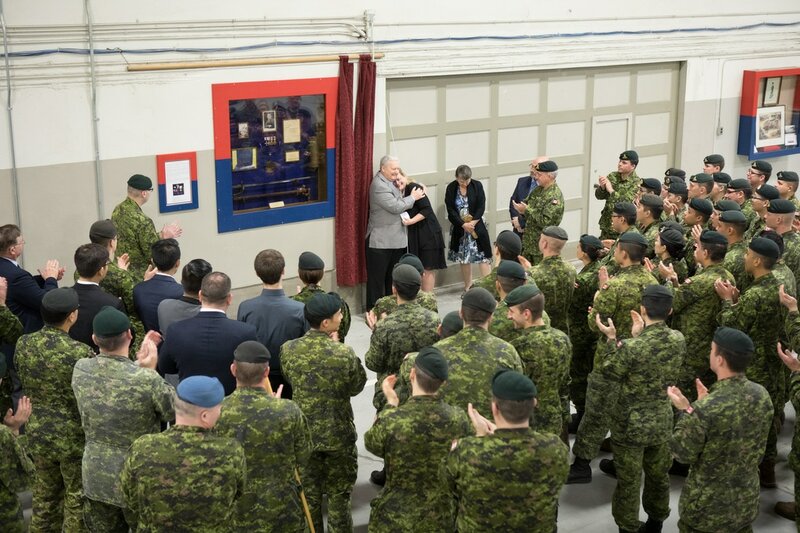 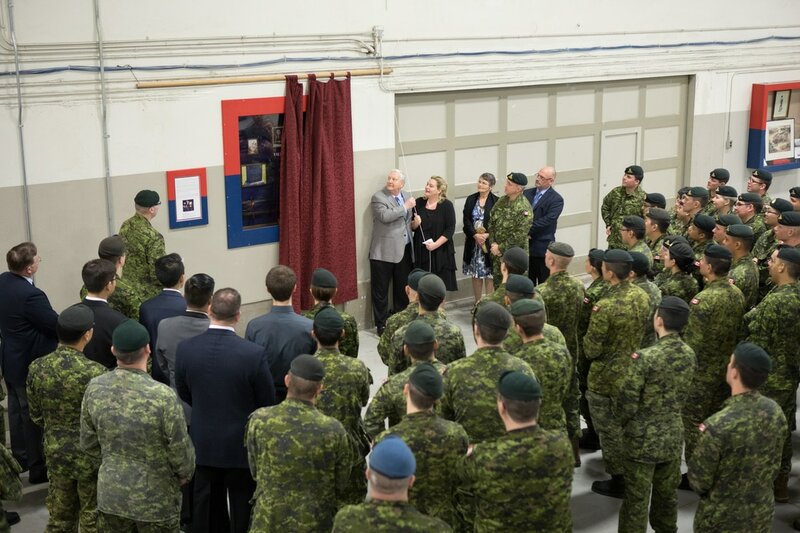 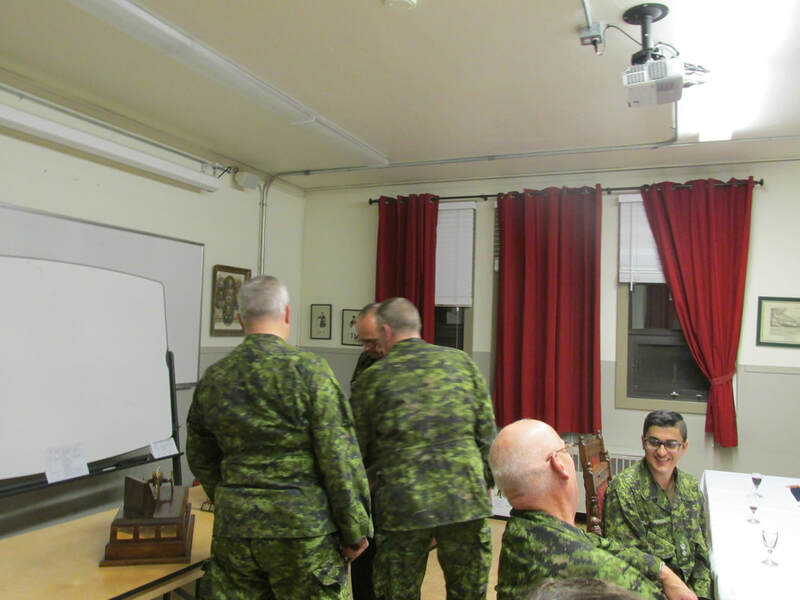 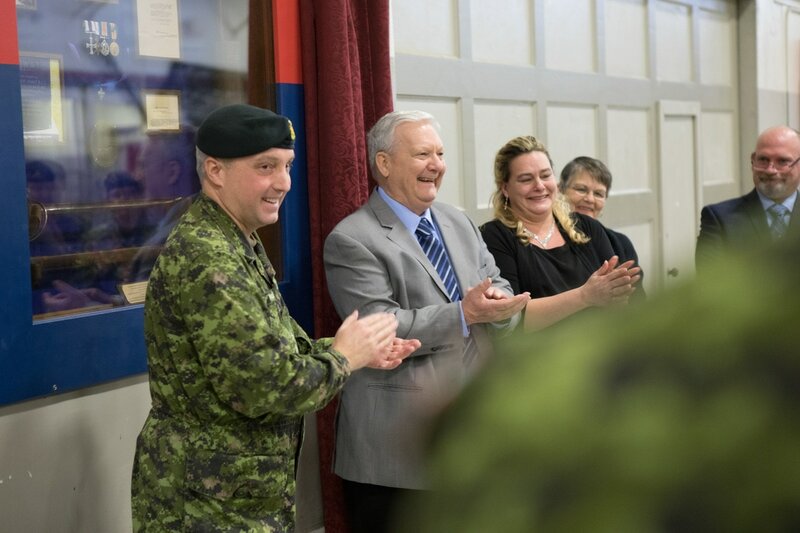 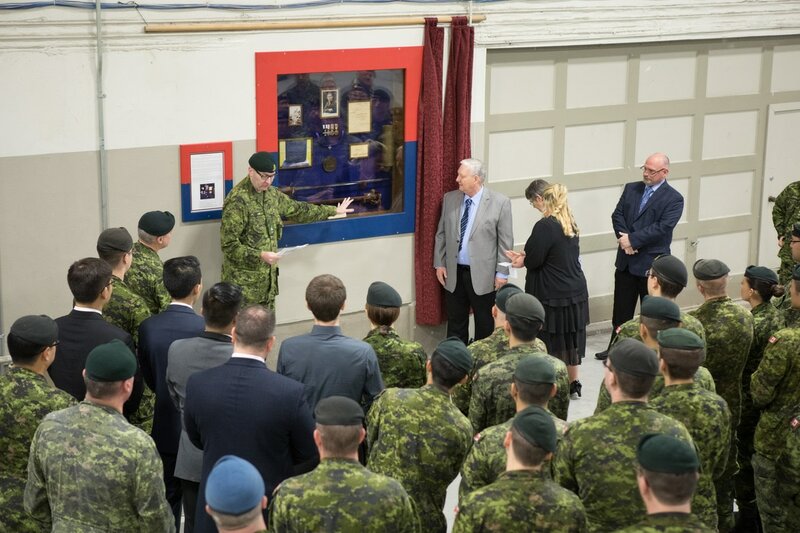 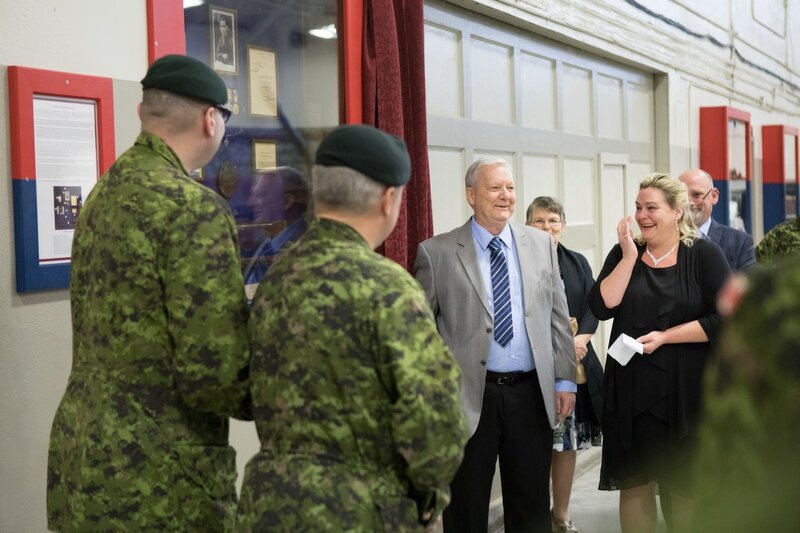 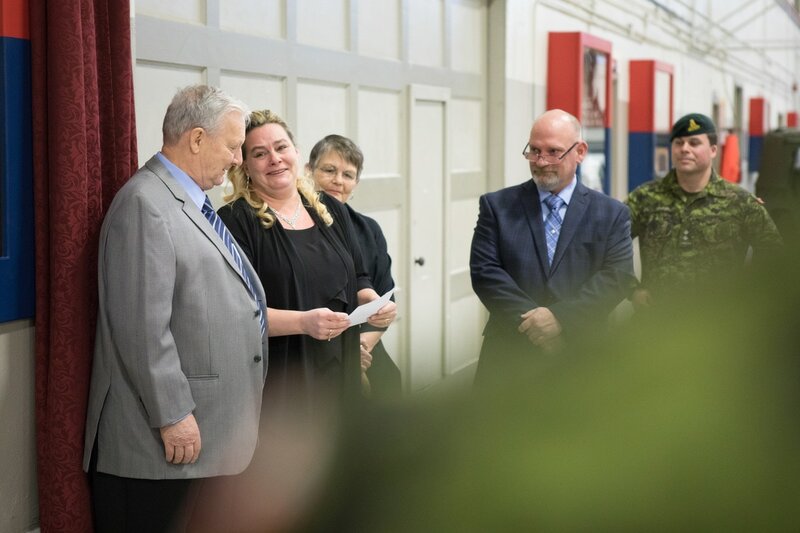 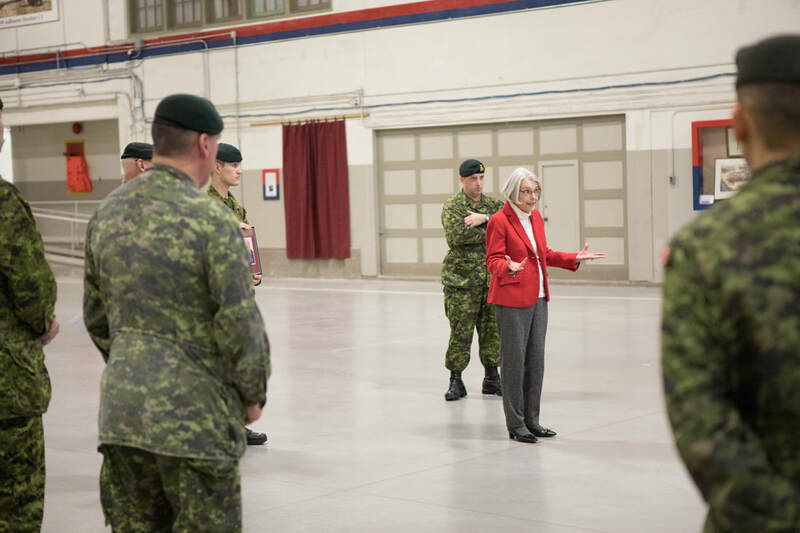 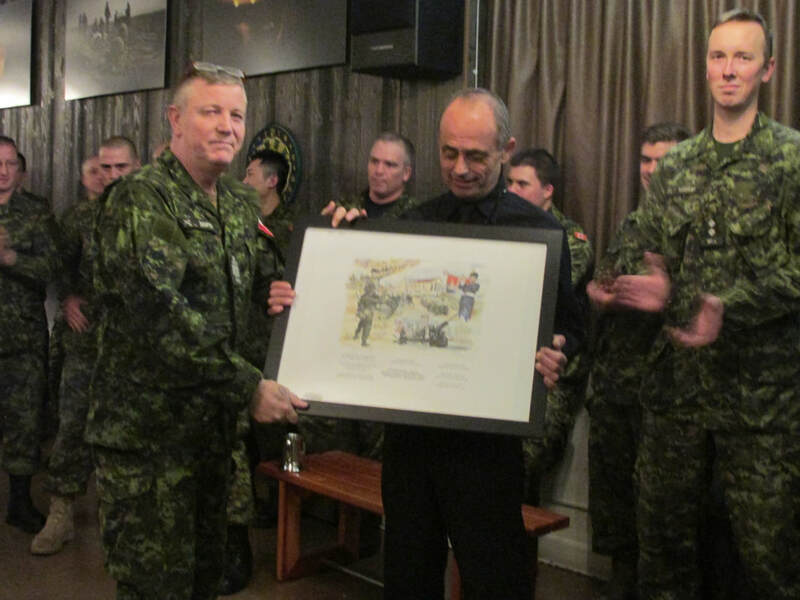 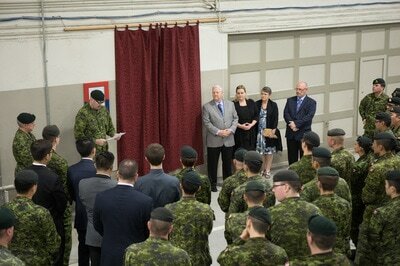 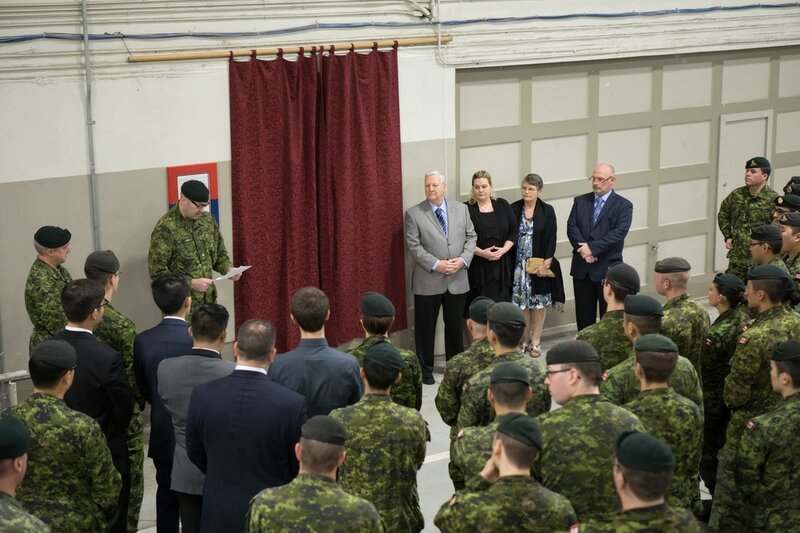 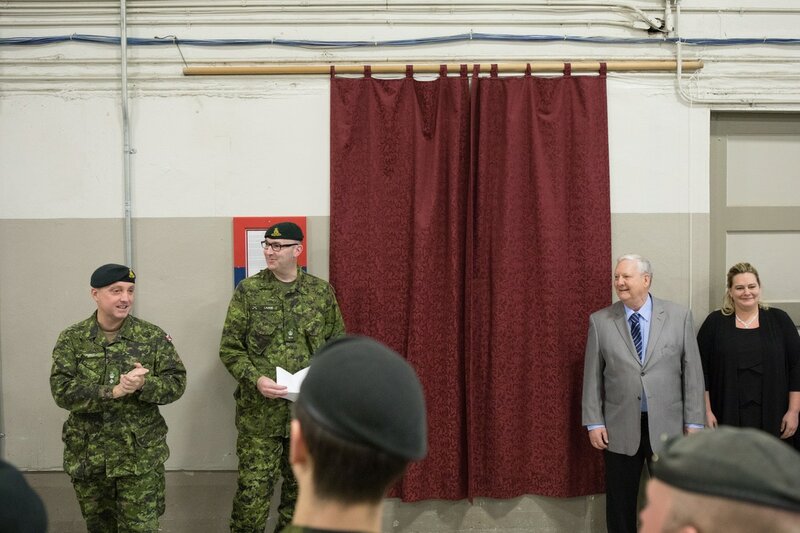 A special event at this year's dinner was the unveiling of the Captain Oliver Alexander Mowat MC display on the North wall of the Bessborough Armoury. Captain Mowat was killed in action while serving with the 68th Battery, 16th Brigade, Canadian Field Artillery at Spasskoe, Russia. 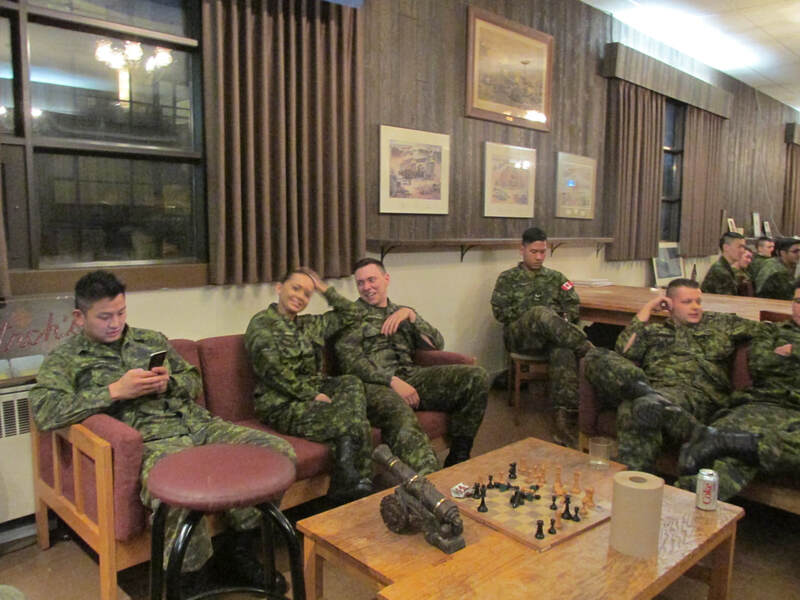 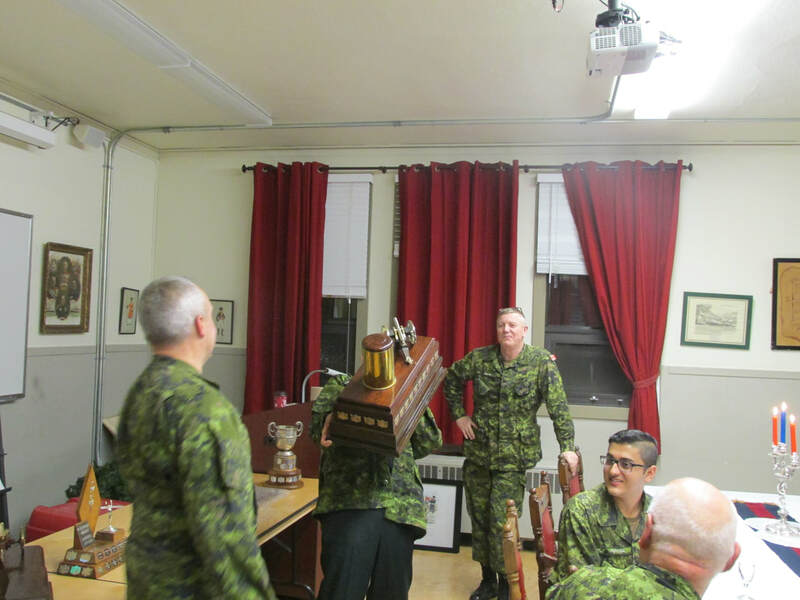 The 68th Battery of the 16th Brigade, Canadian Field Artillery is perpetuated by today's 68 Battery, 15th Field Artillery Regiment, RCA. The mementos of Captain Mowat's service were donated by his descendants to the 15th Field Artillery Regiment Museum & Archives. 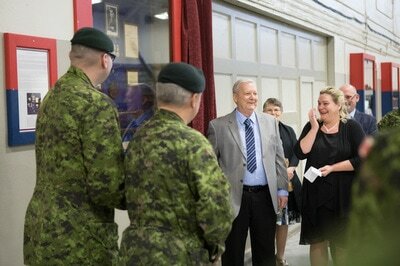 With support from the Regimental Society, Captain (ret) Noel Dykes was engaged to produced the display case. 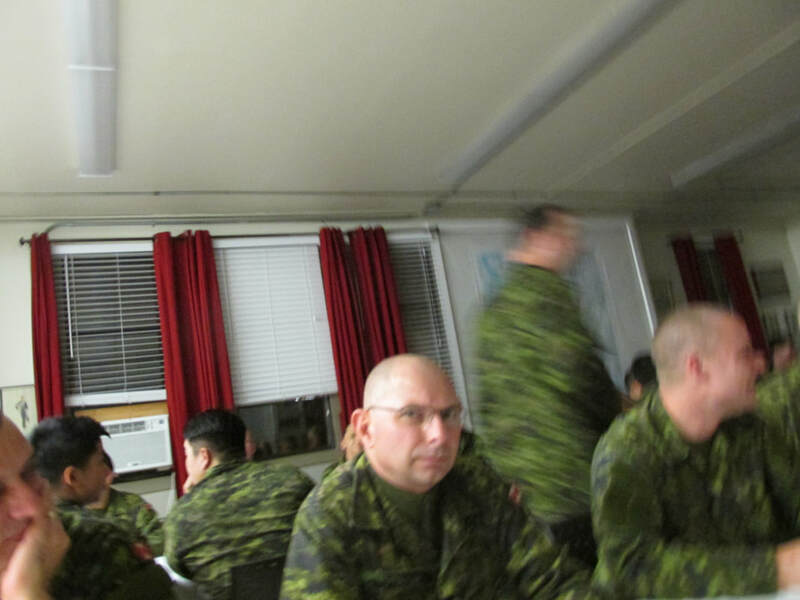 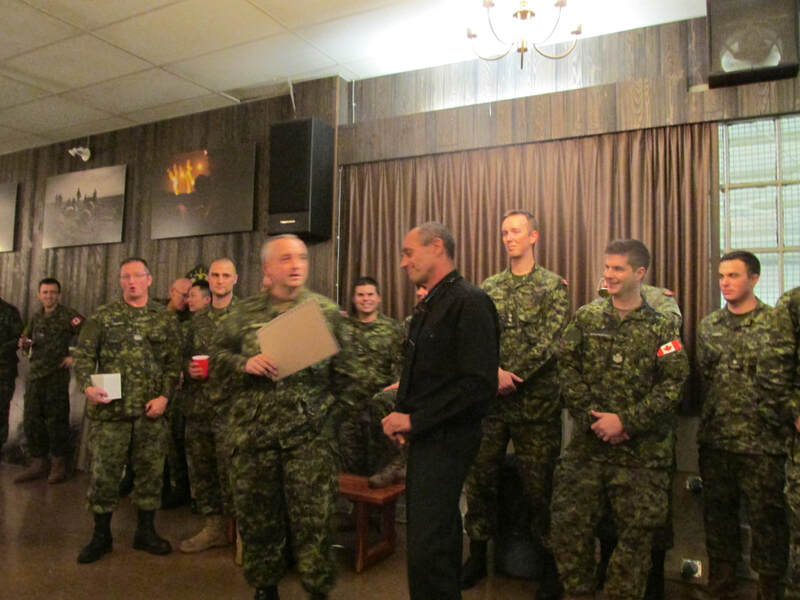 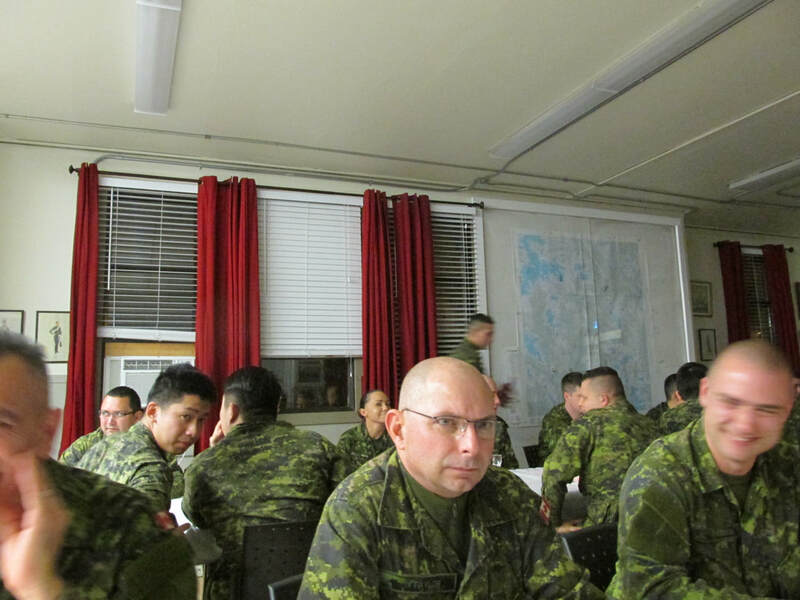 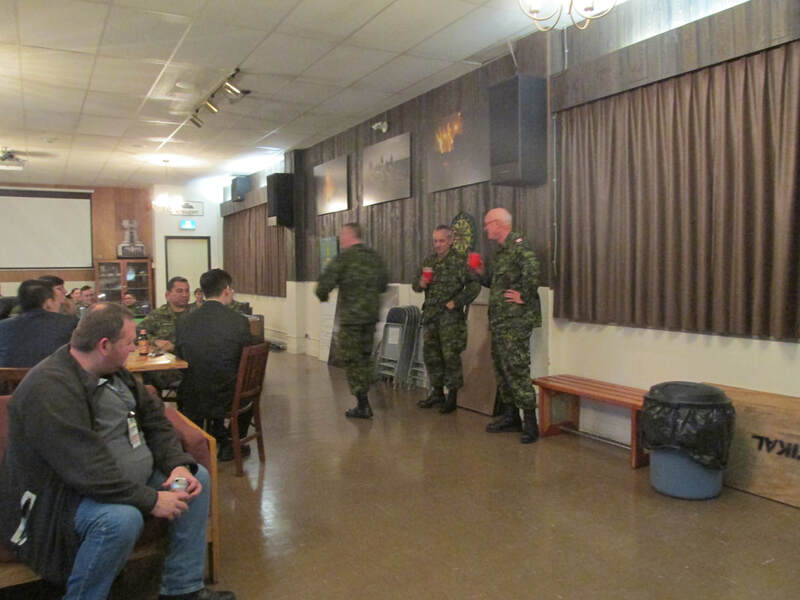 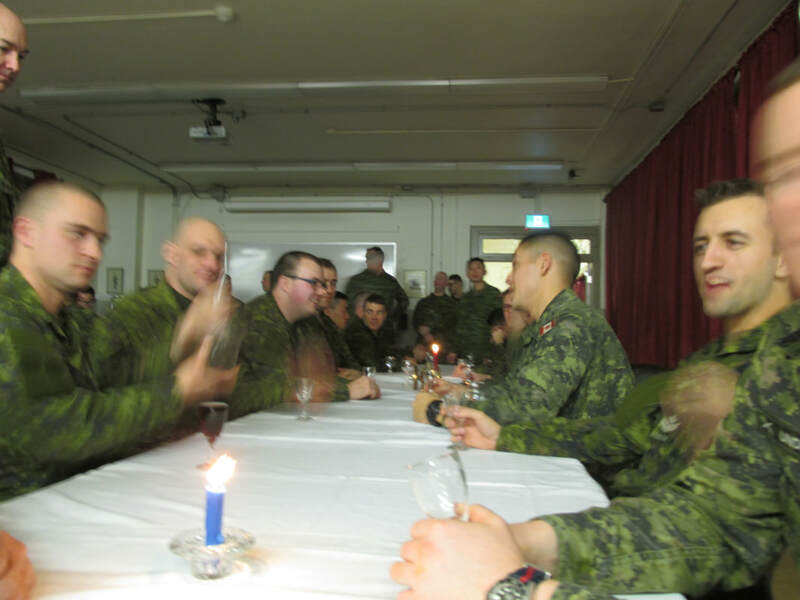 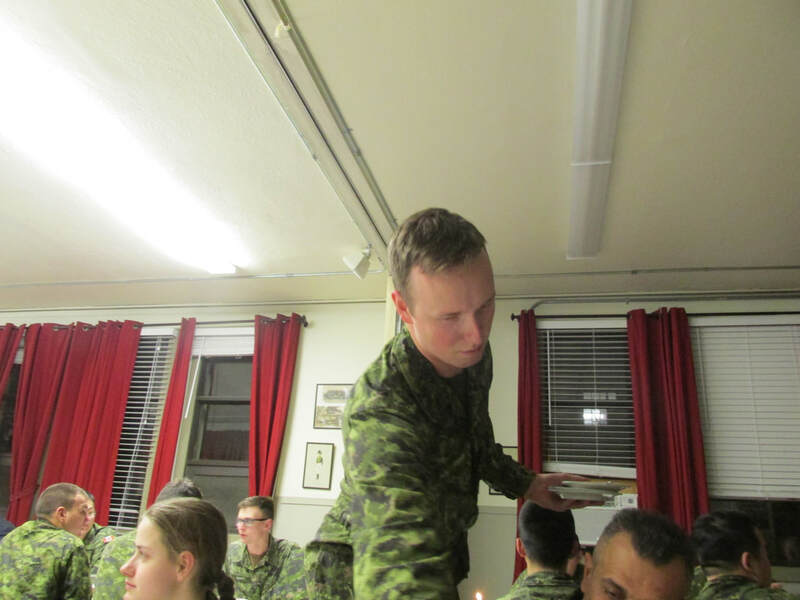 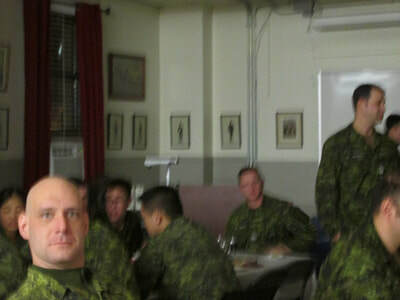 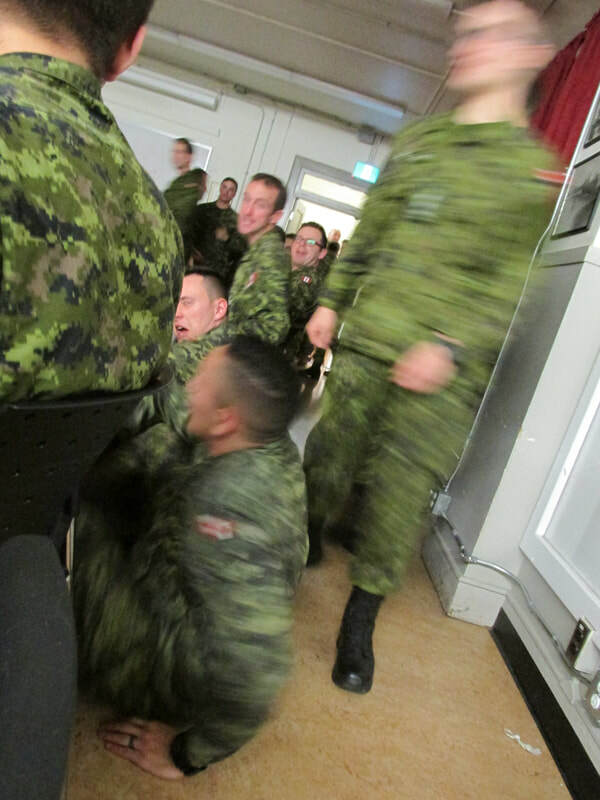 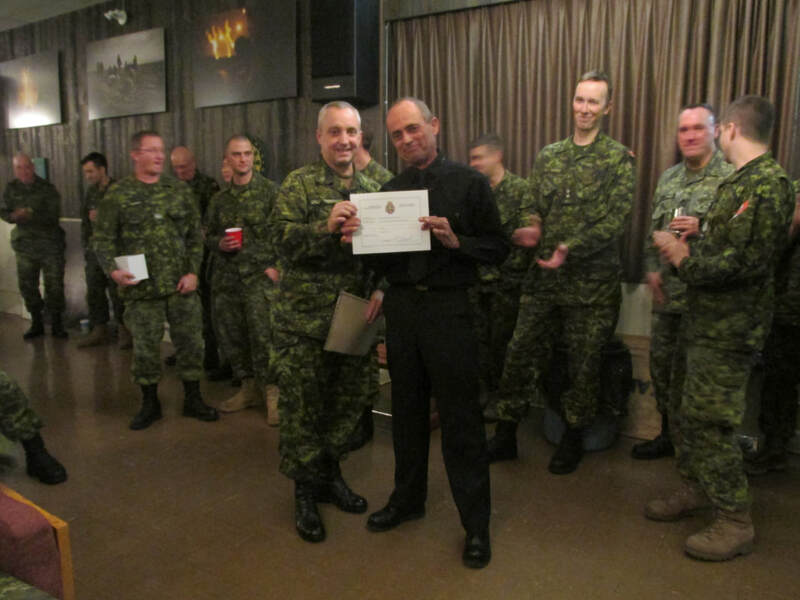 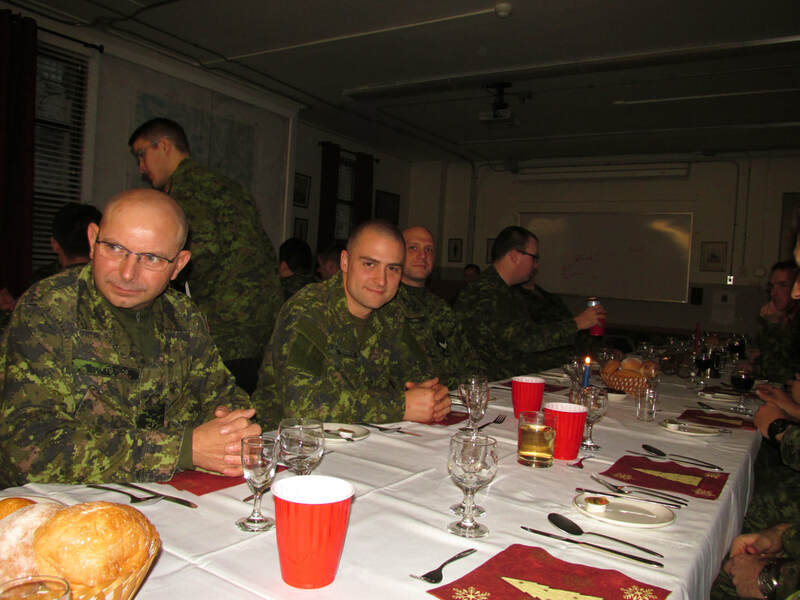 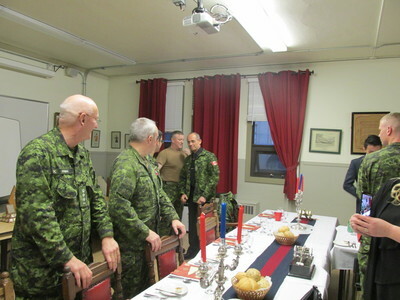 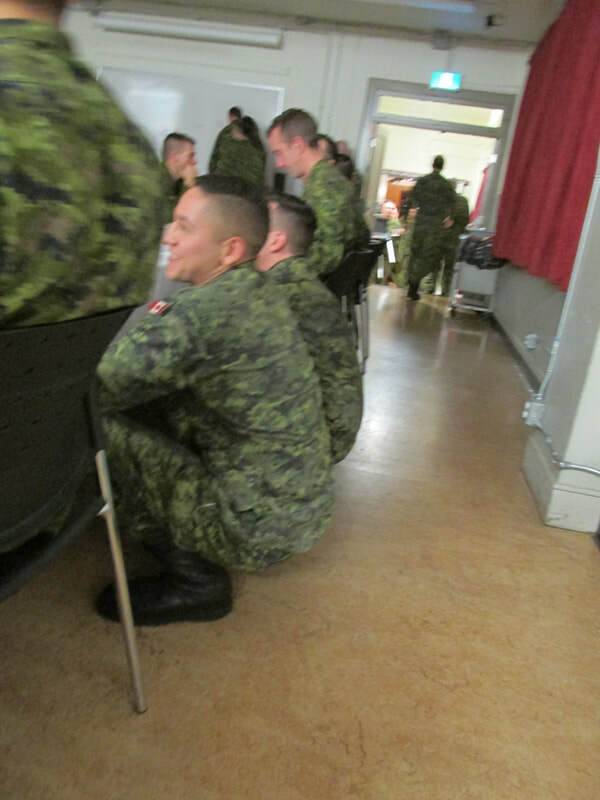 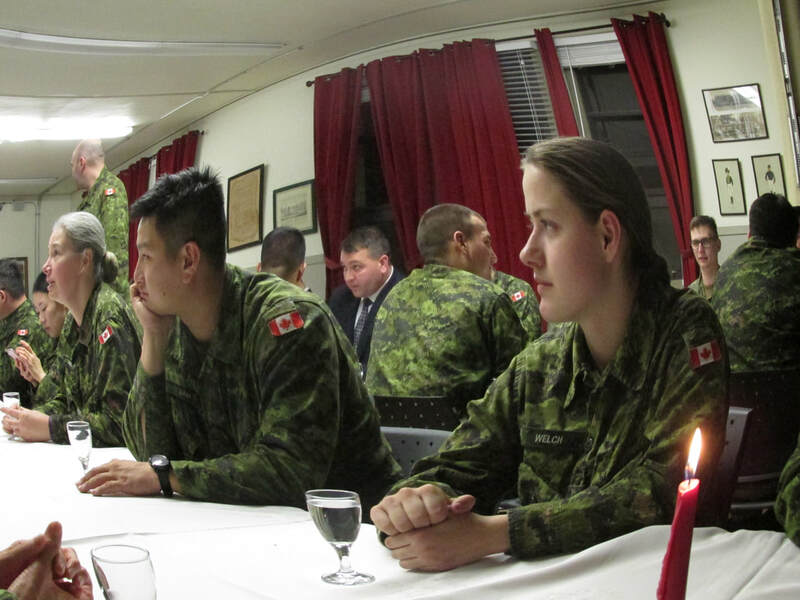 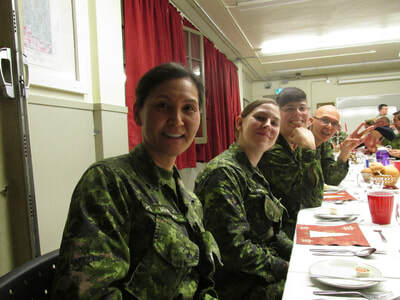 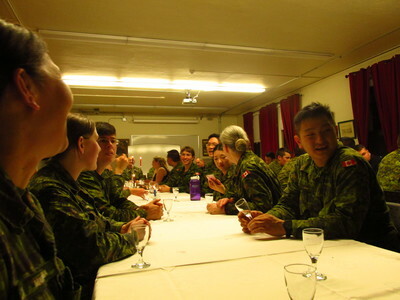 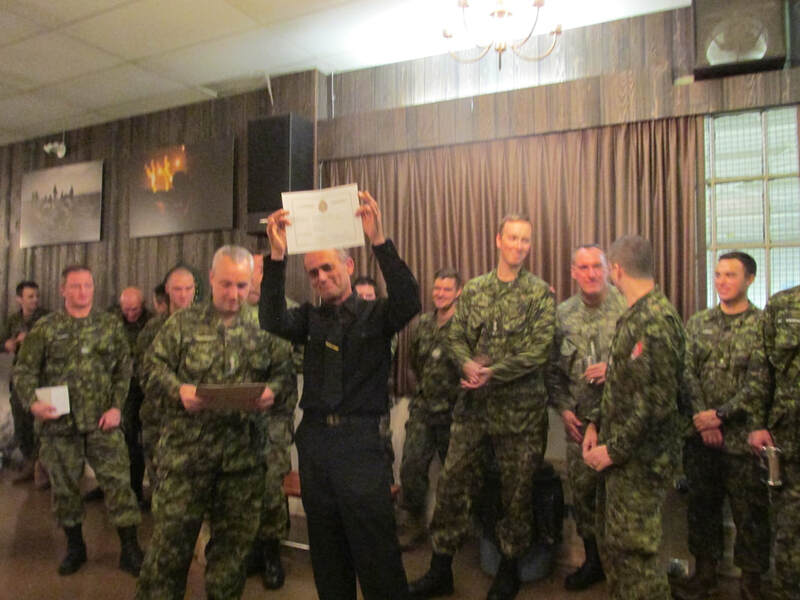 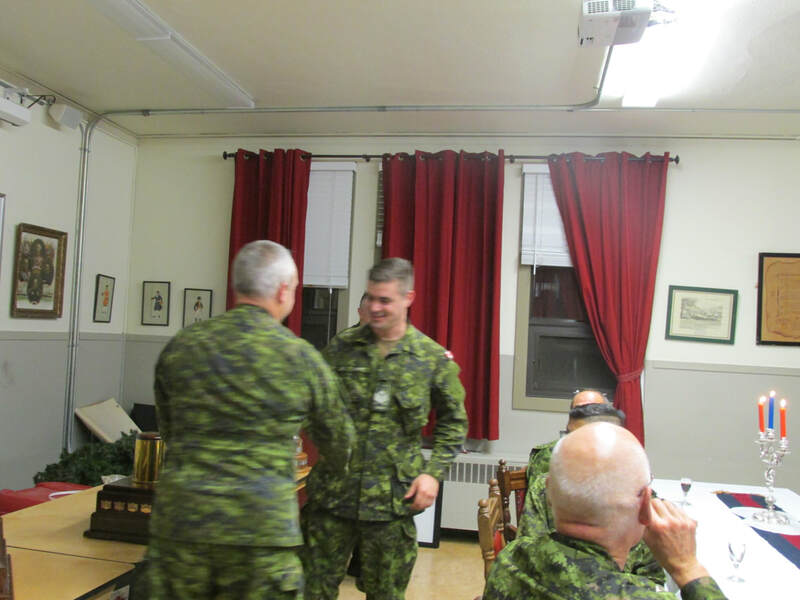 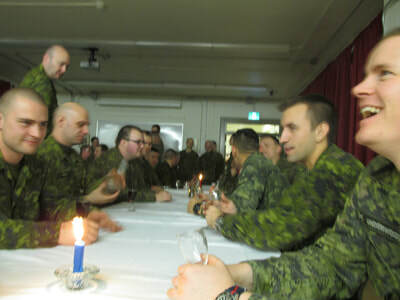 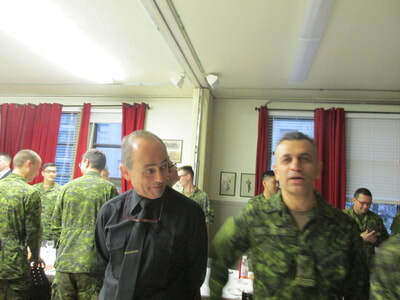 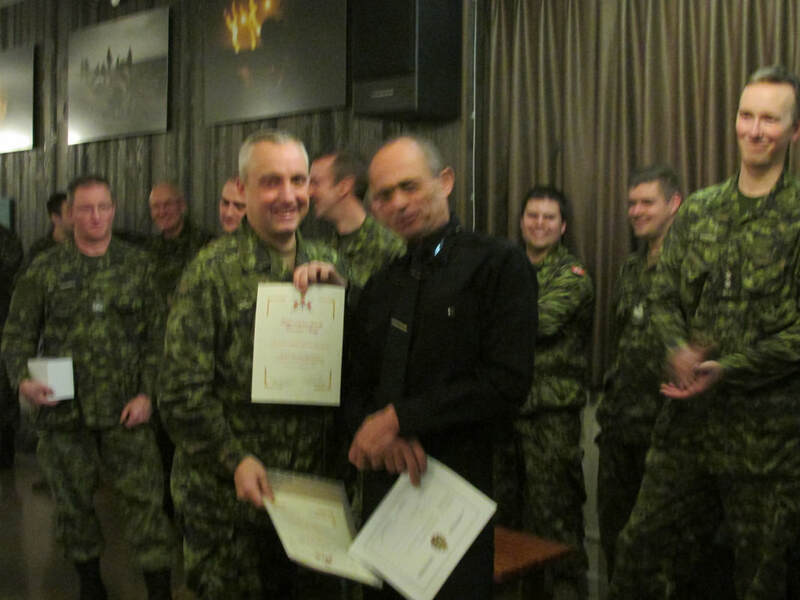 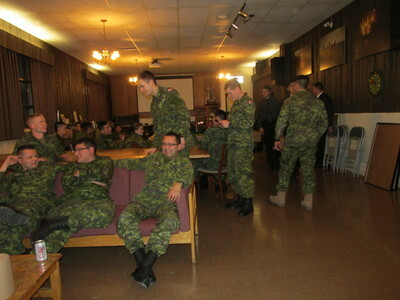 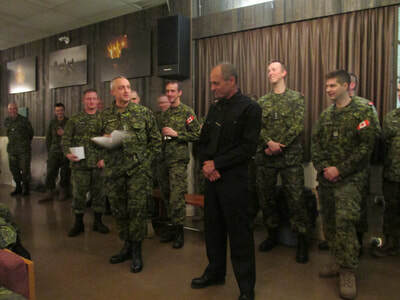 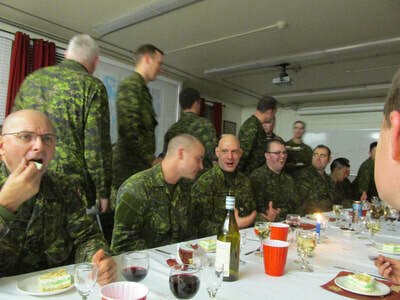 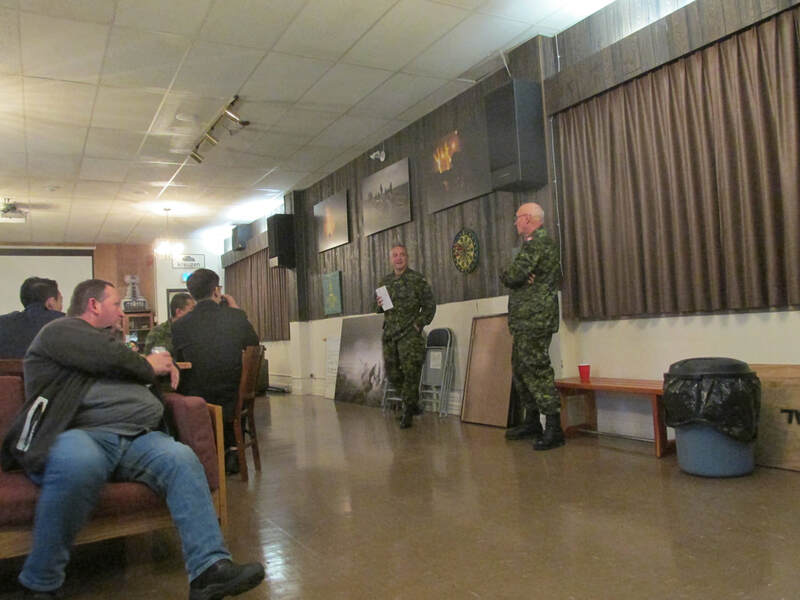 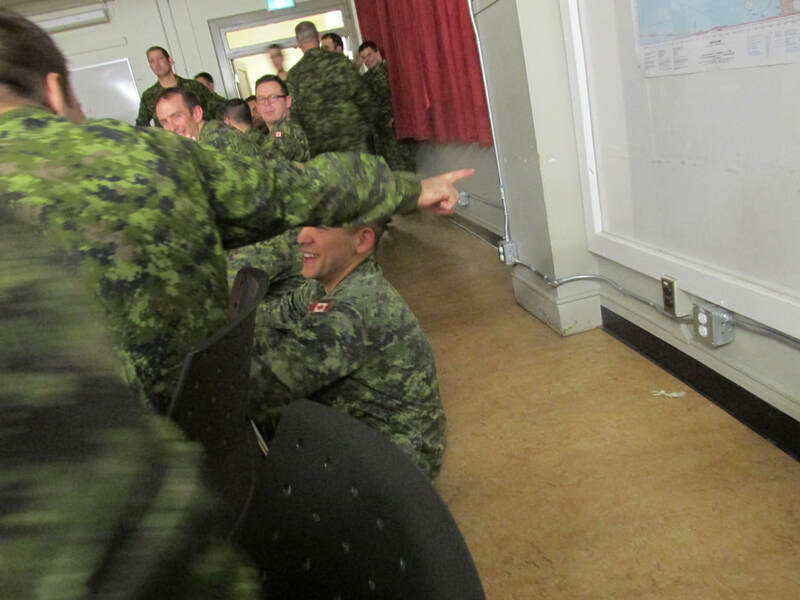 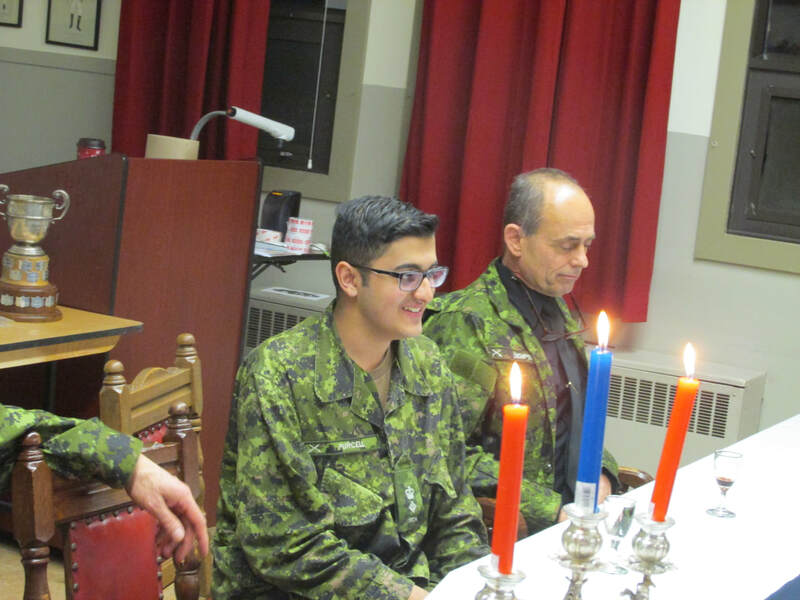 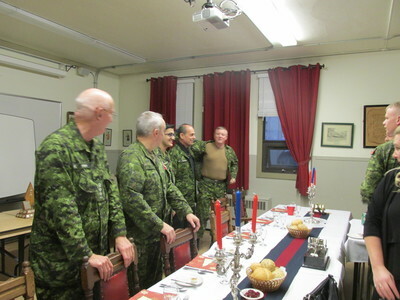 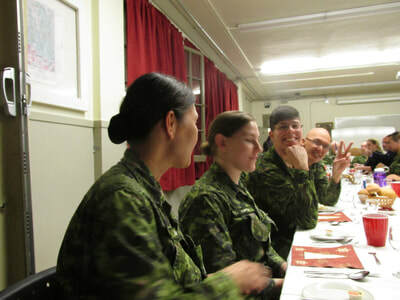 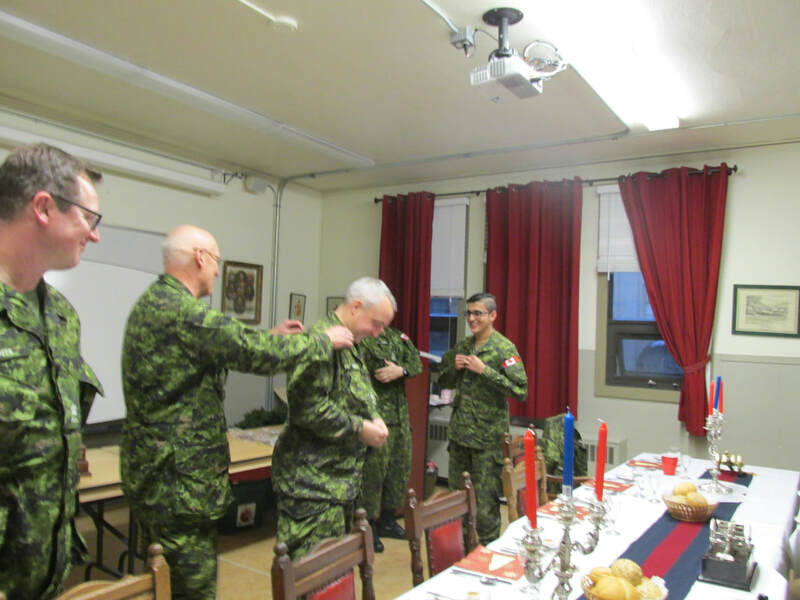 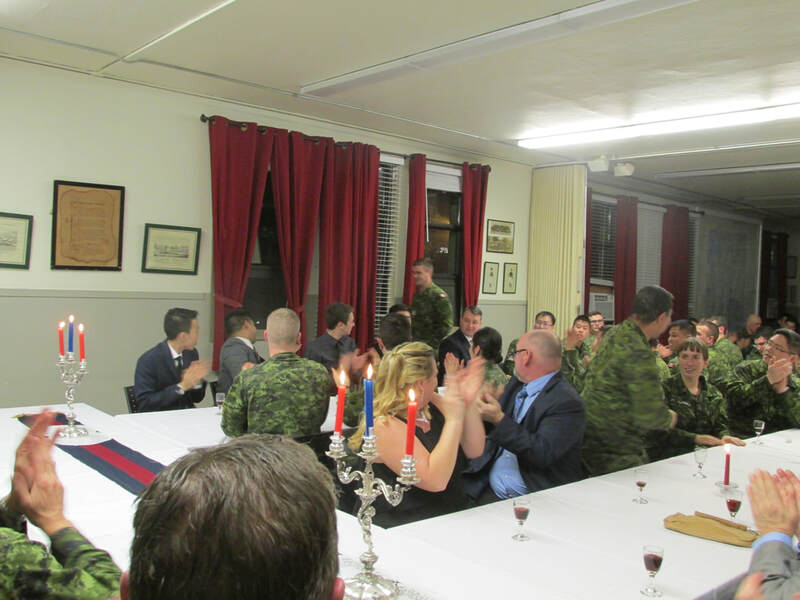 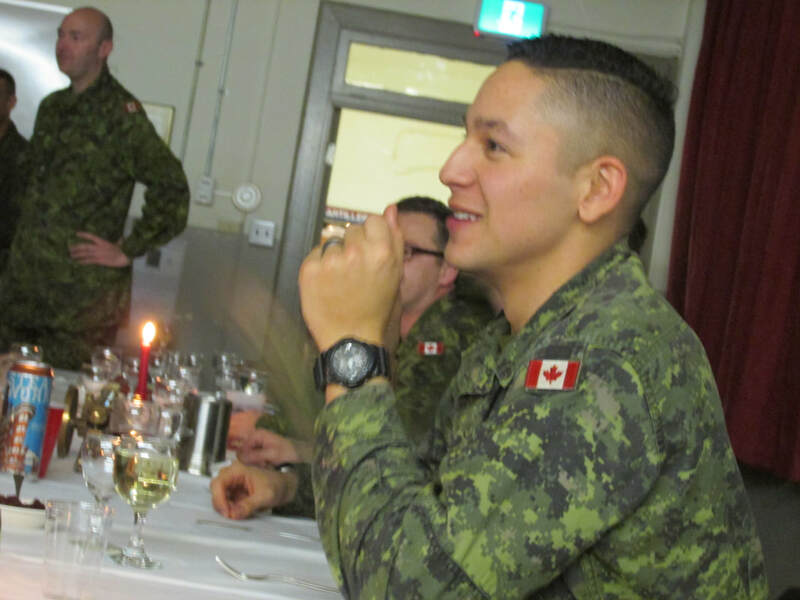 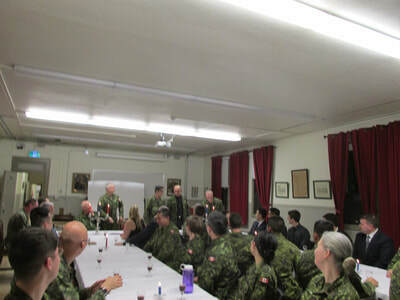 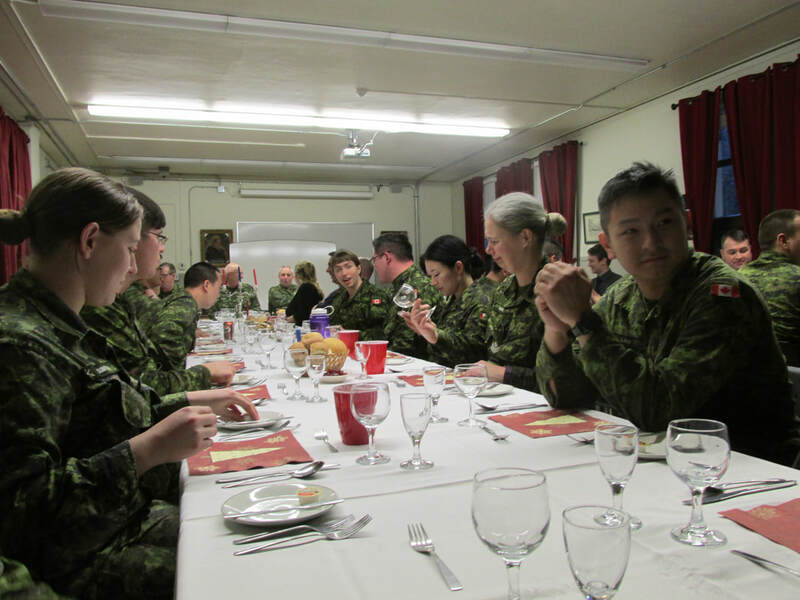 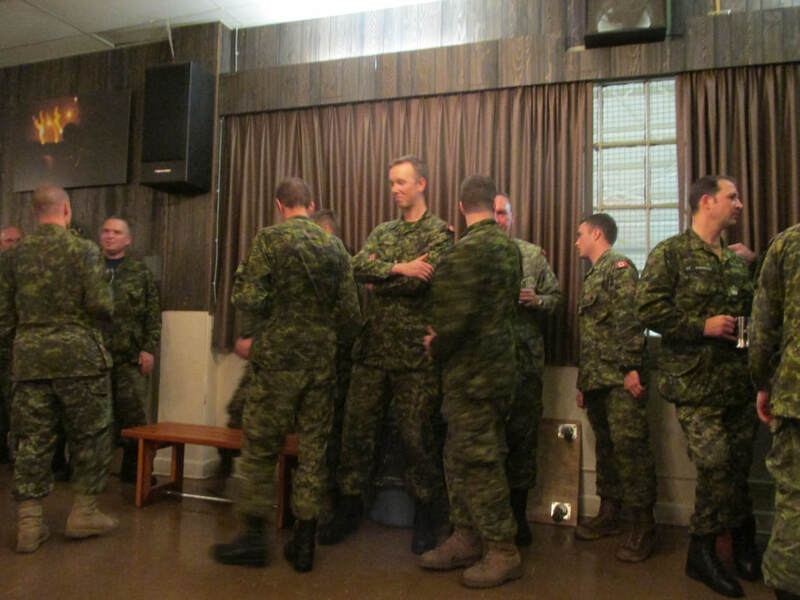 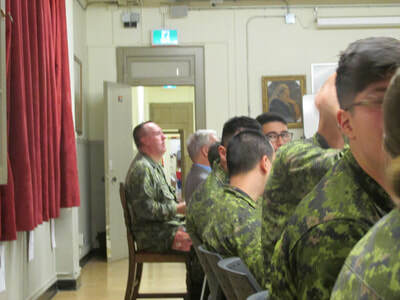 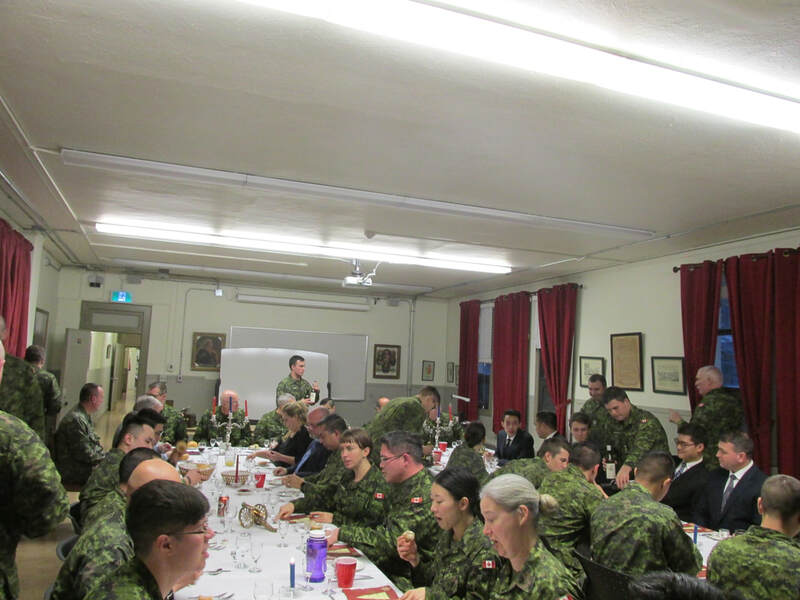 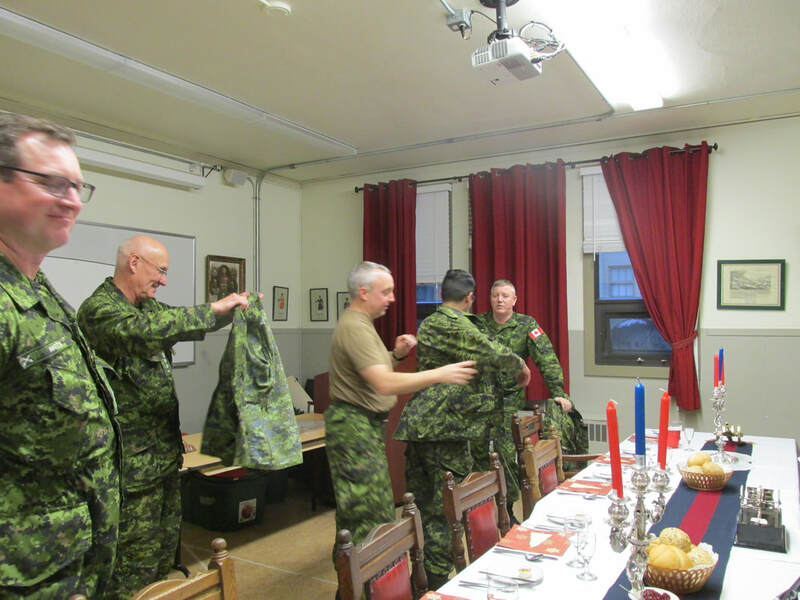 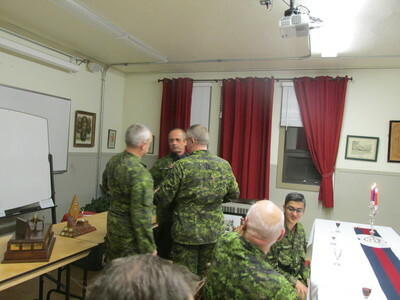 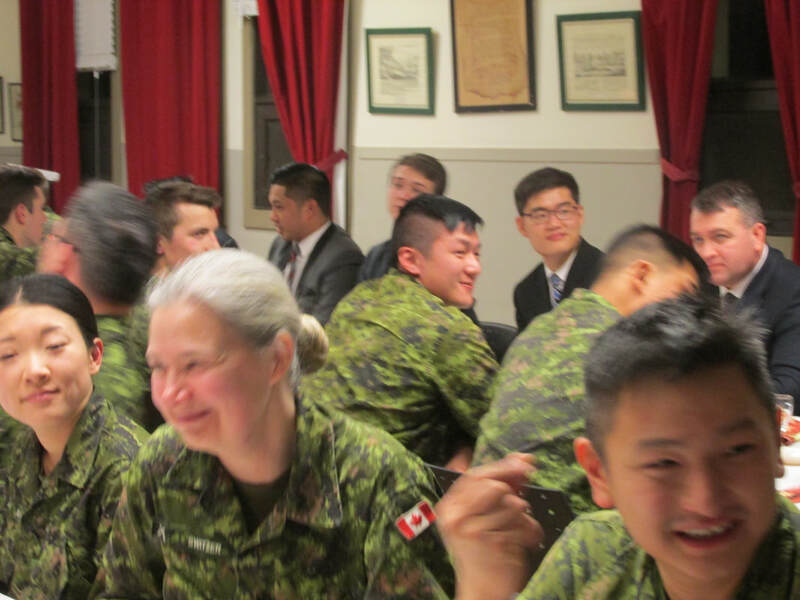 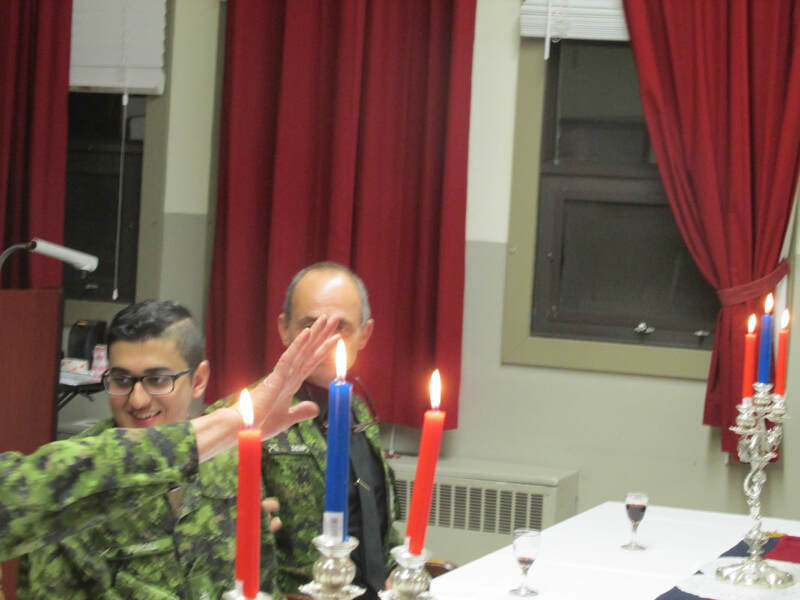 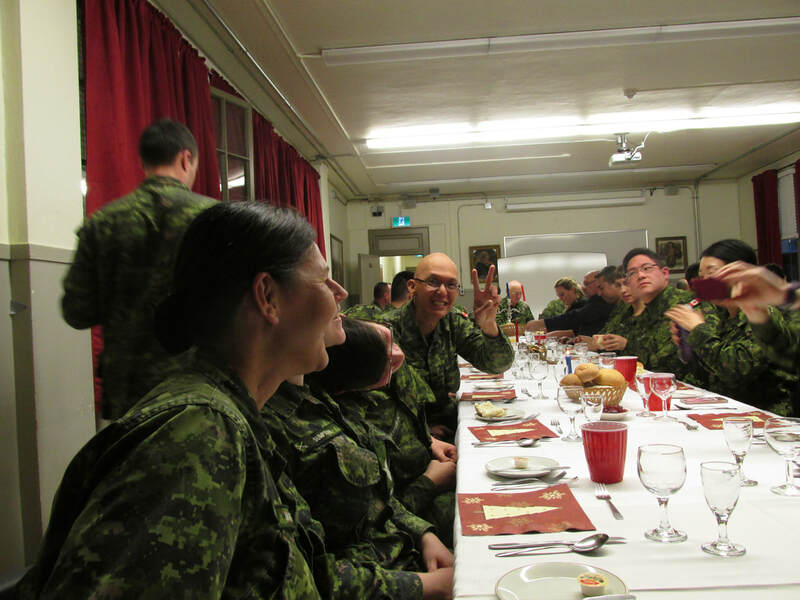 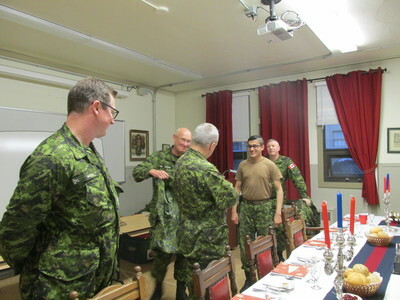 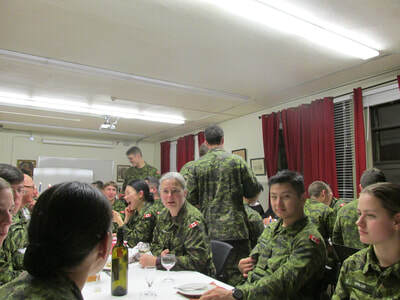 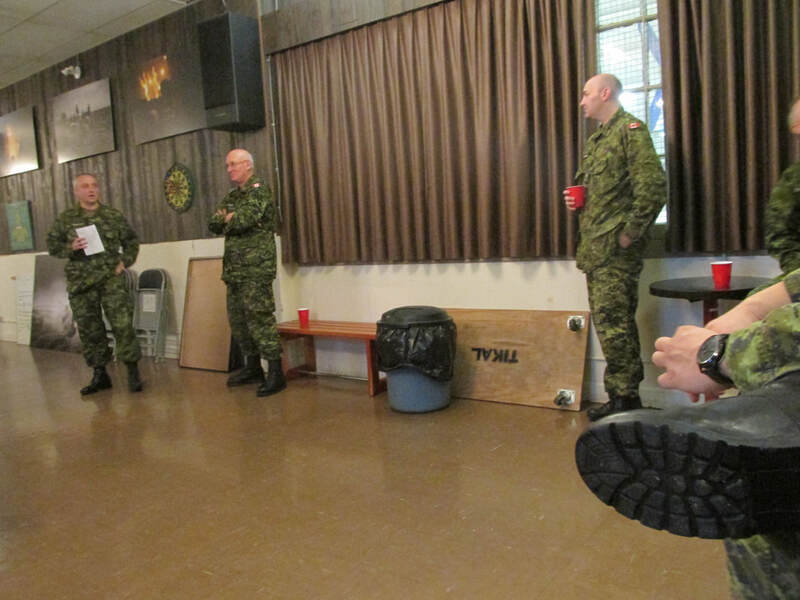 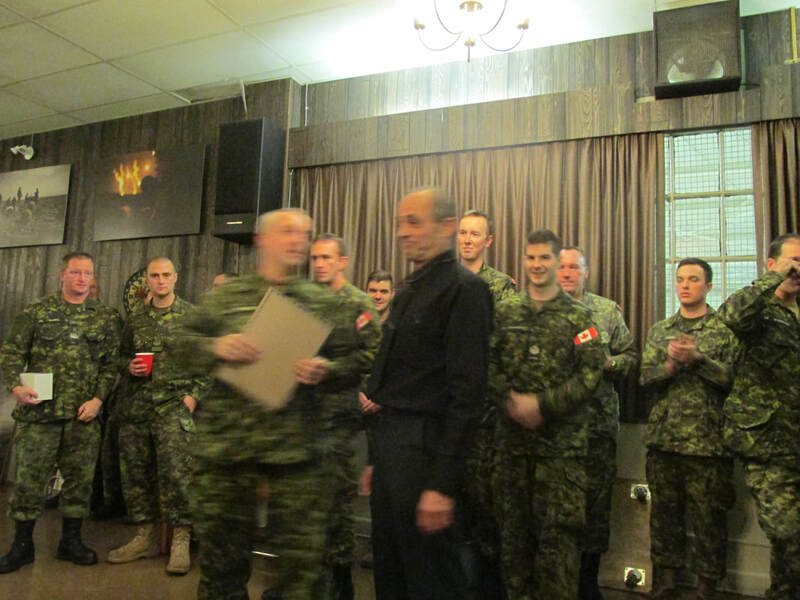 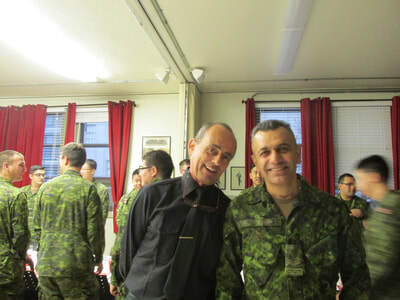 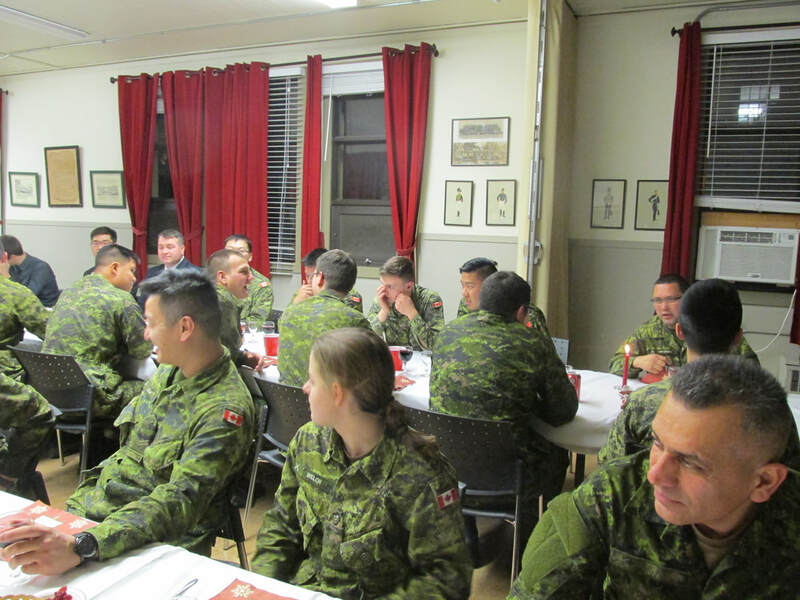 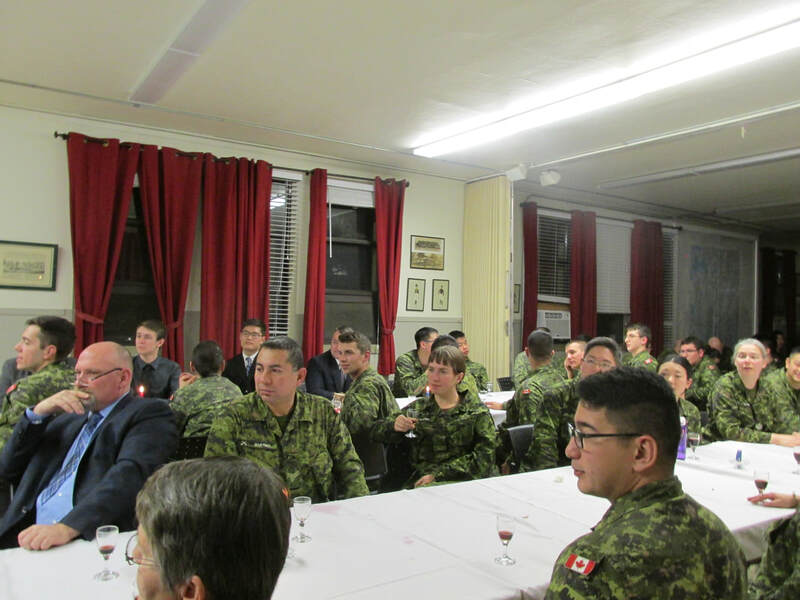 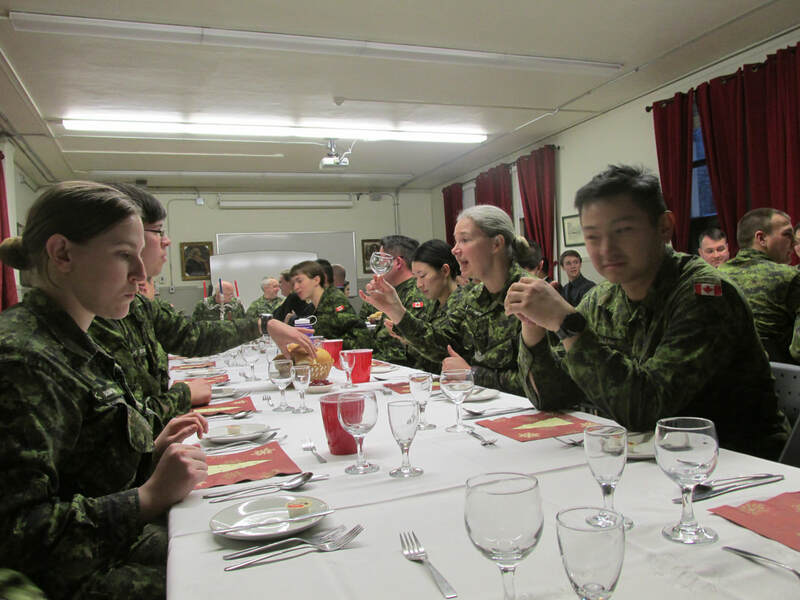 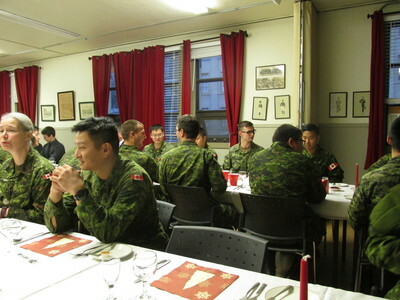 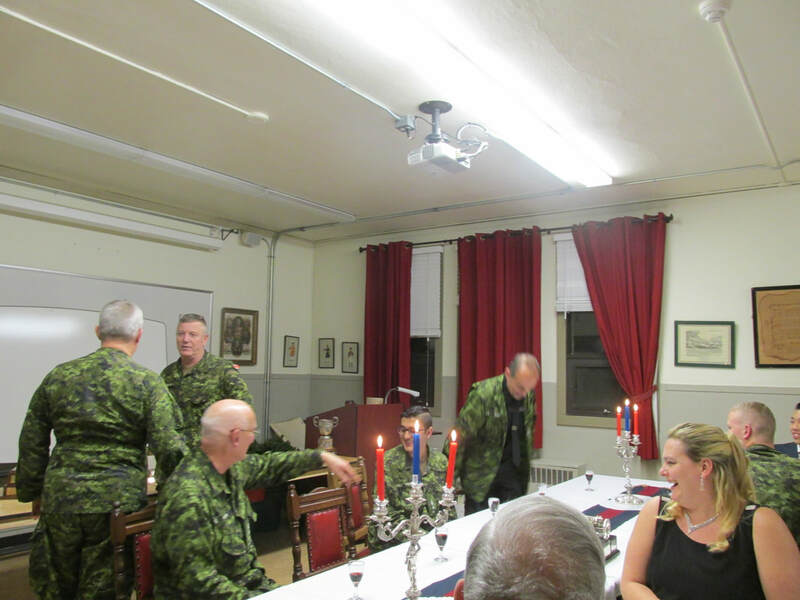 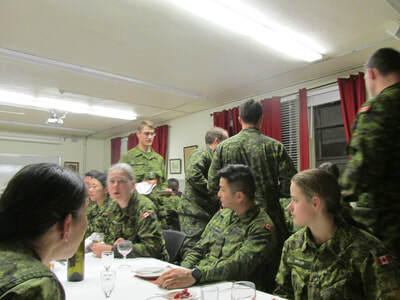 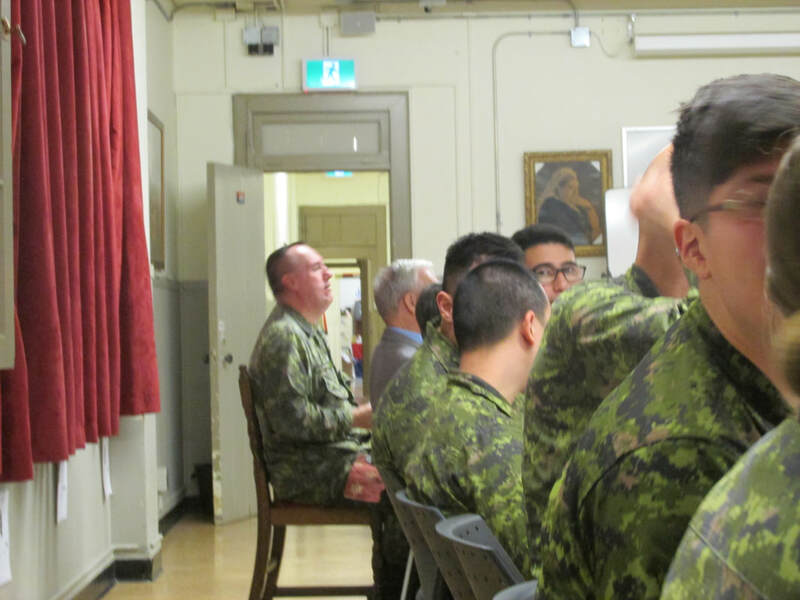 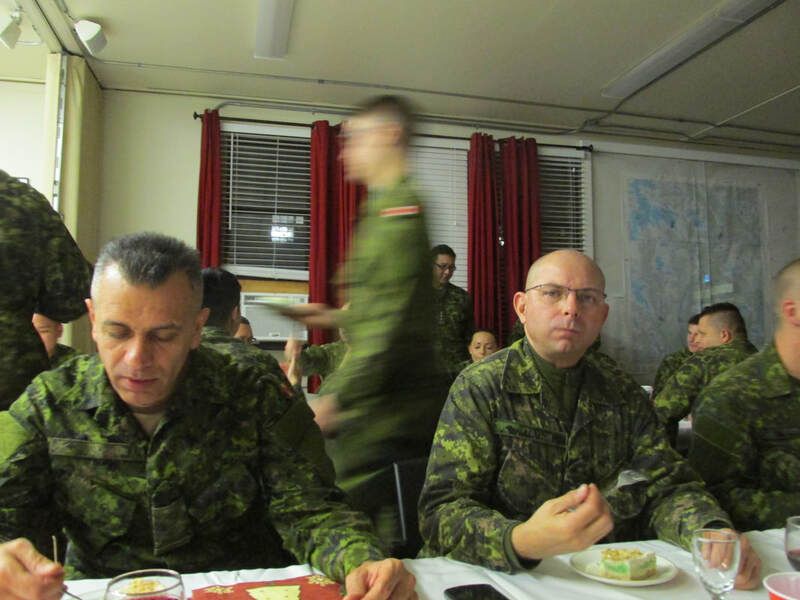 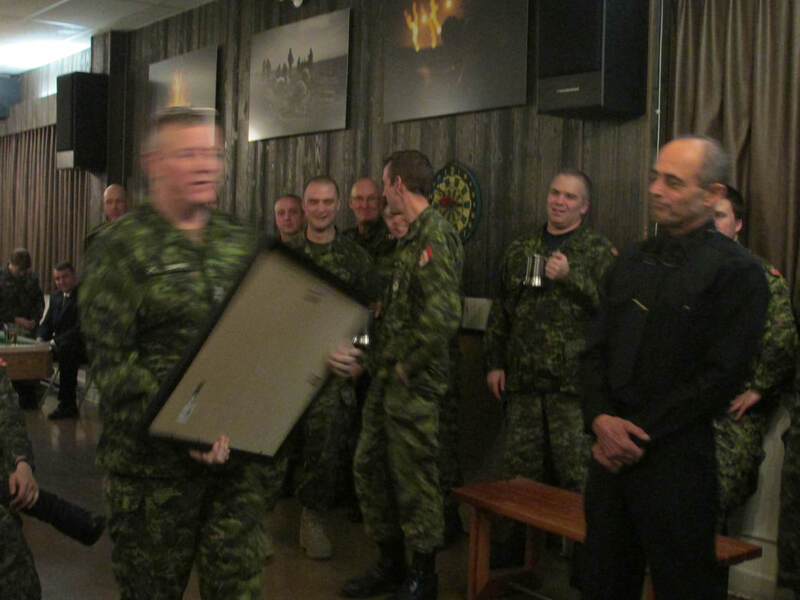 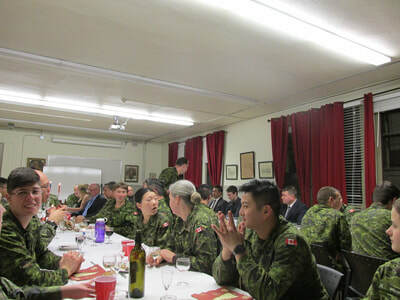 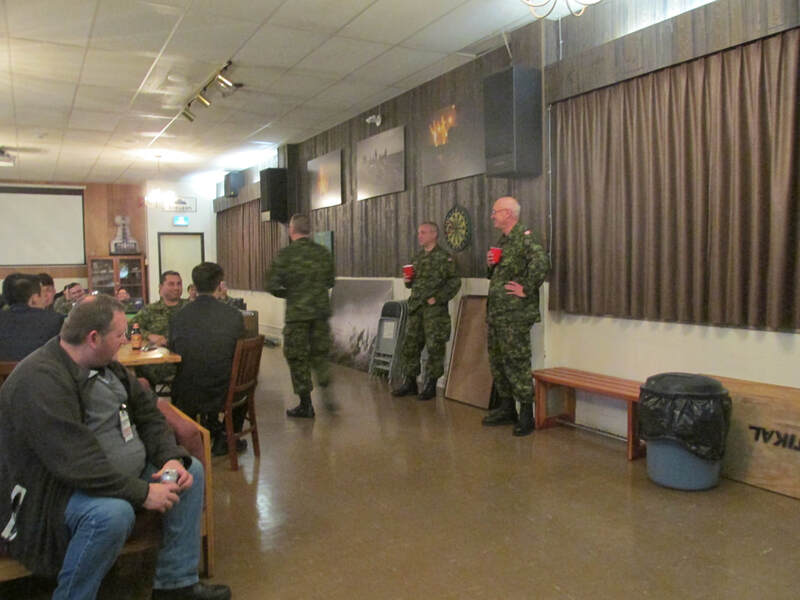 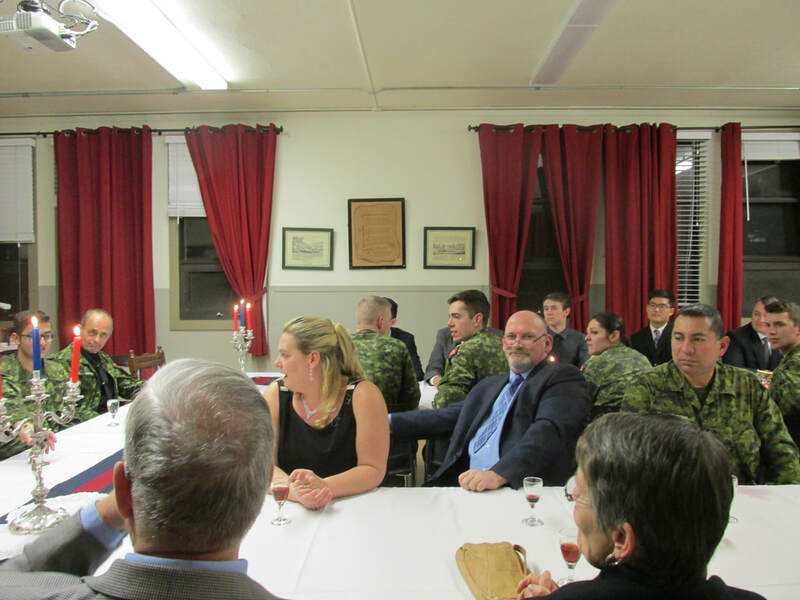 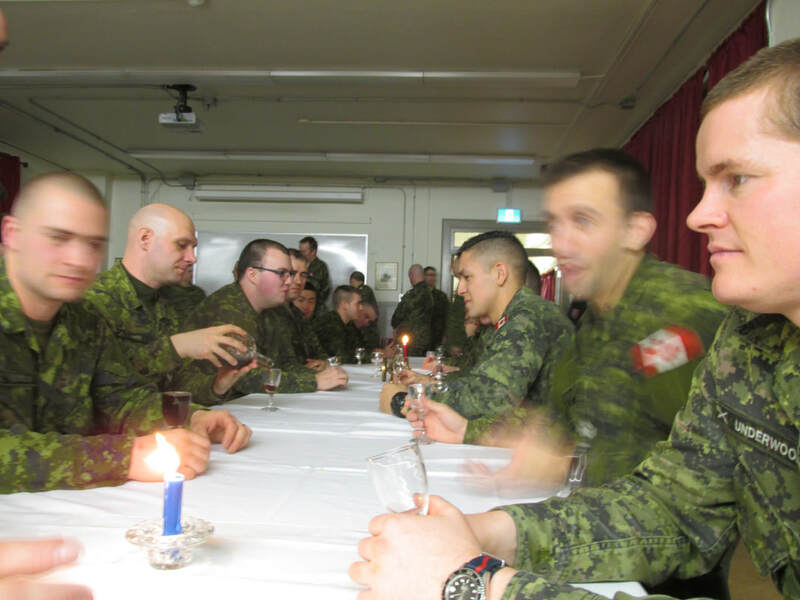 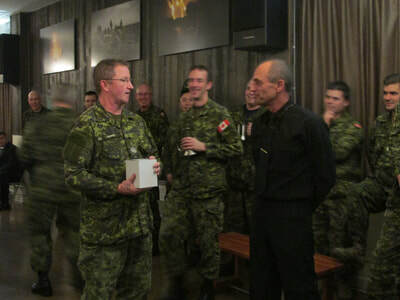 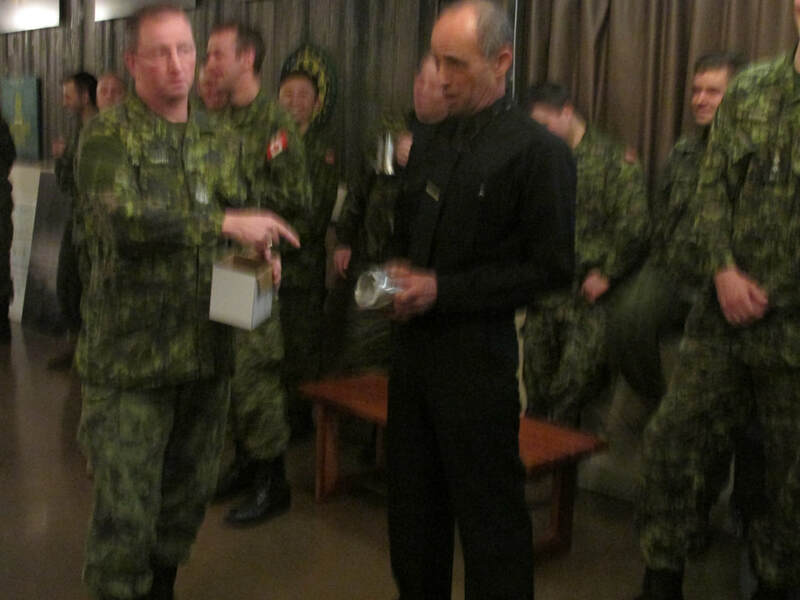 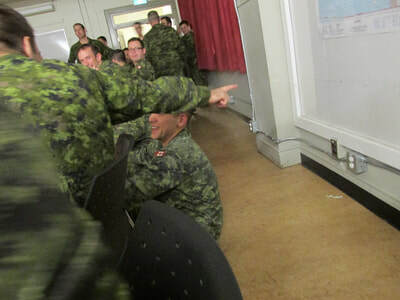 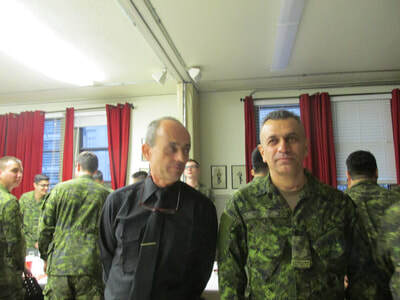 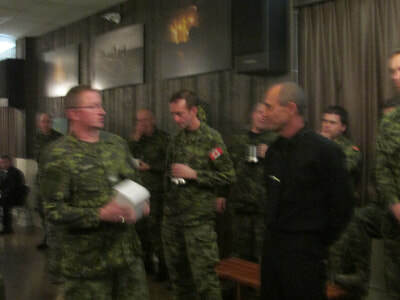 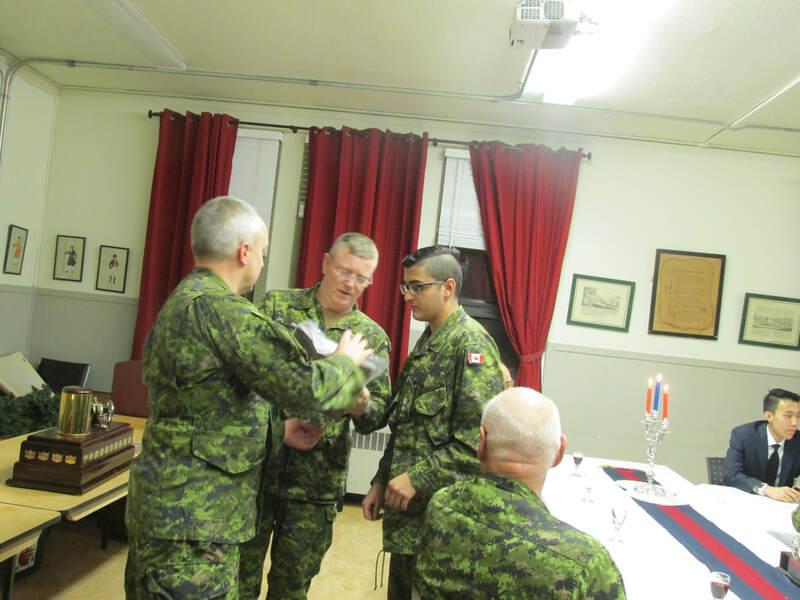 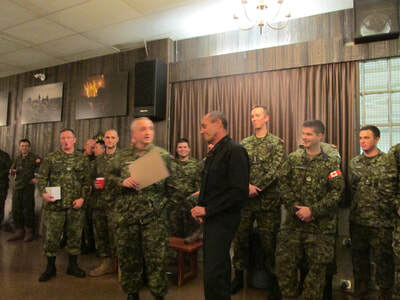 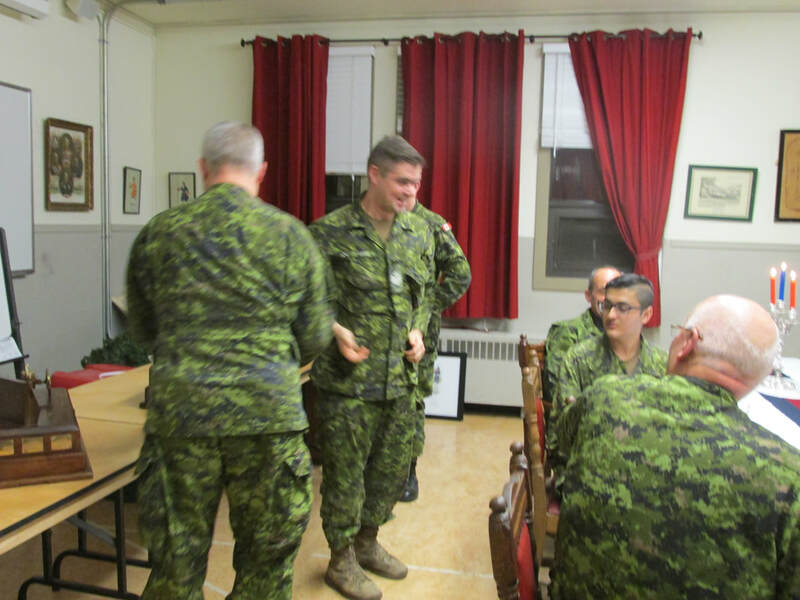 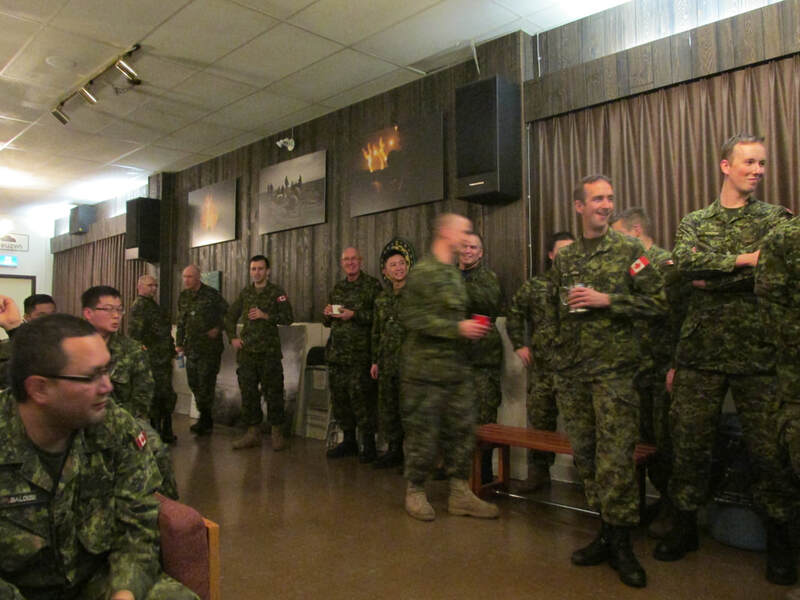 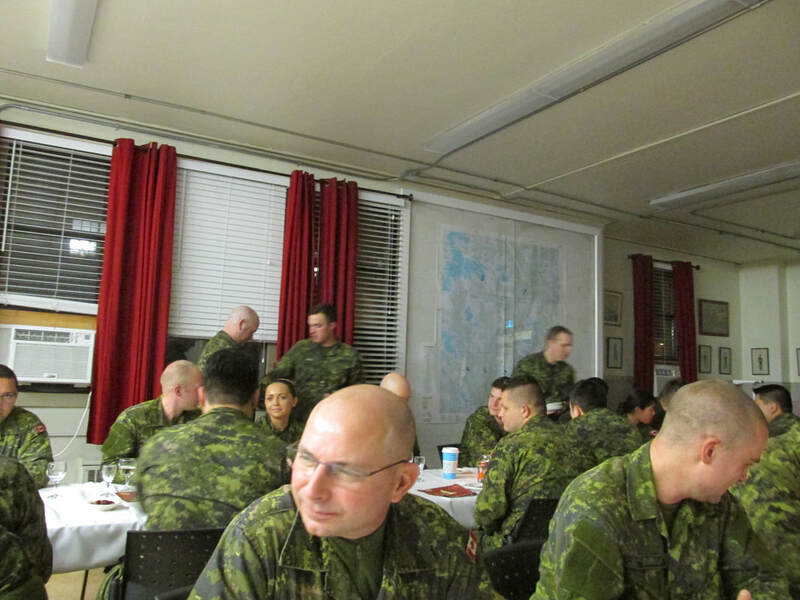 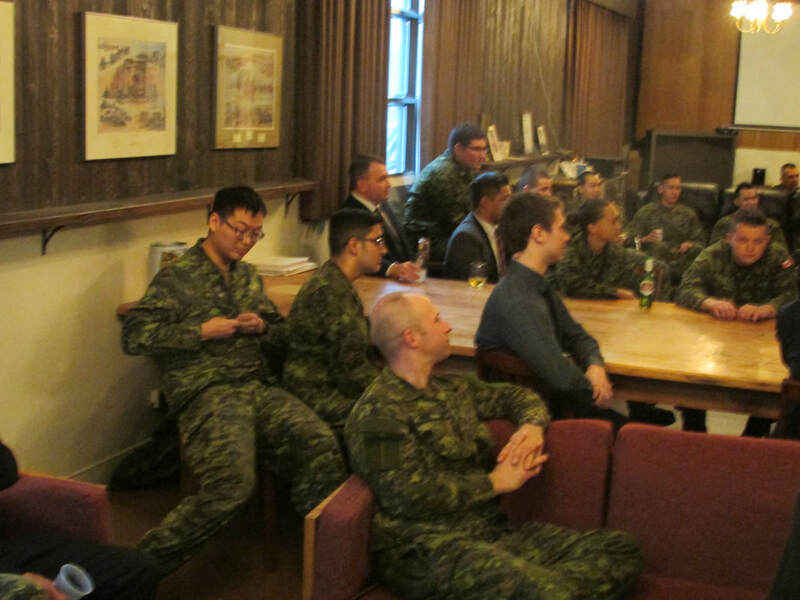 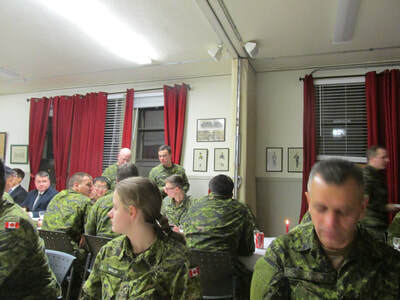 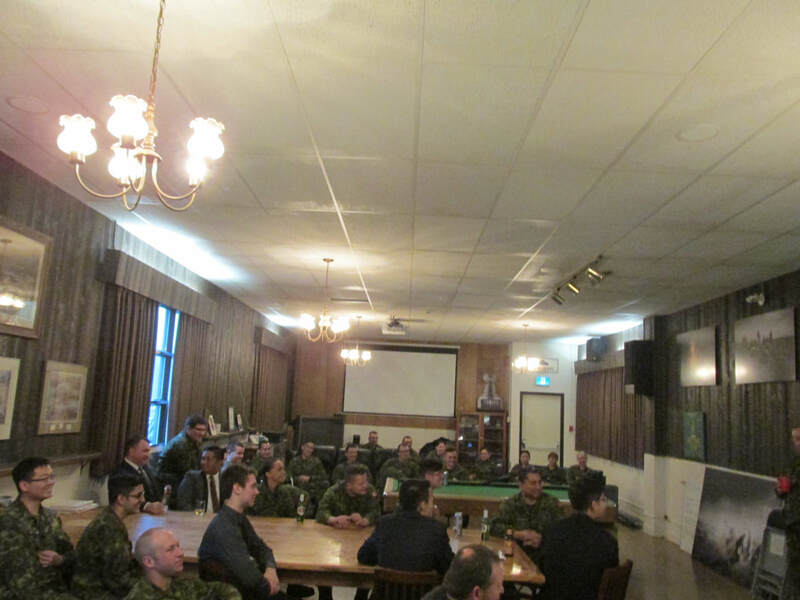 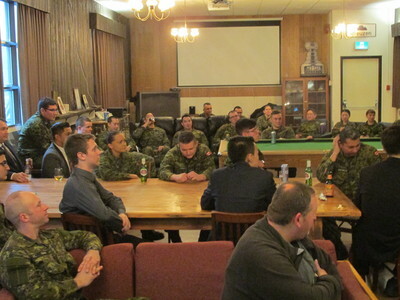 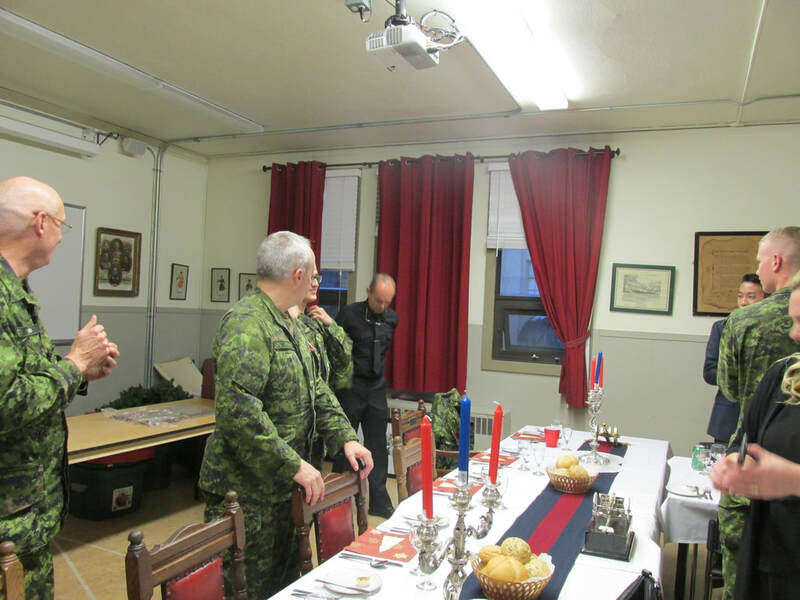 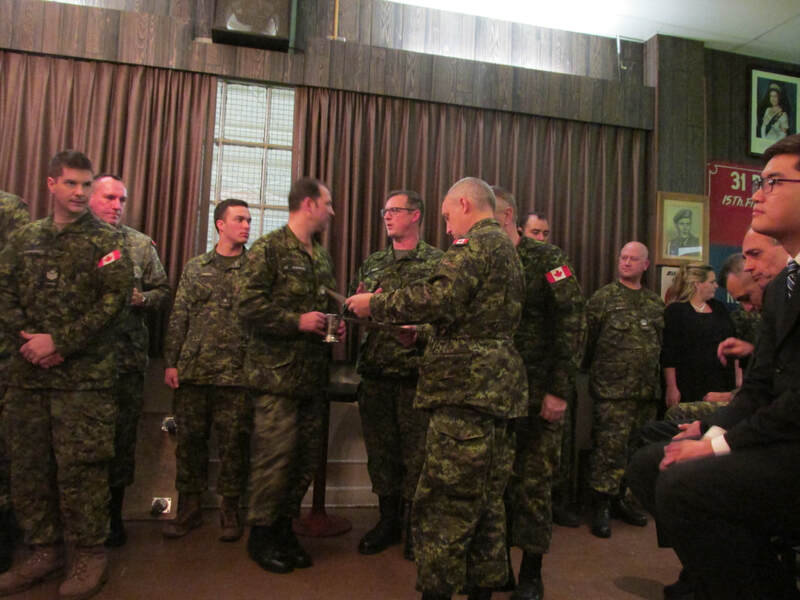 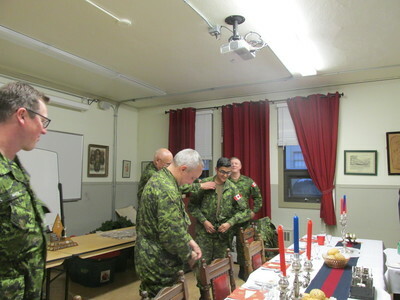 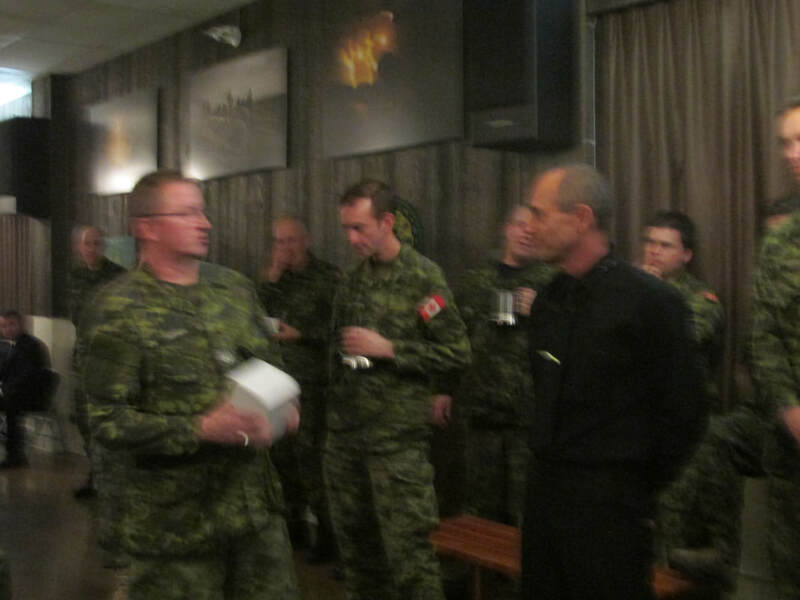 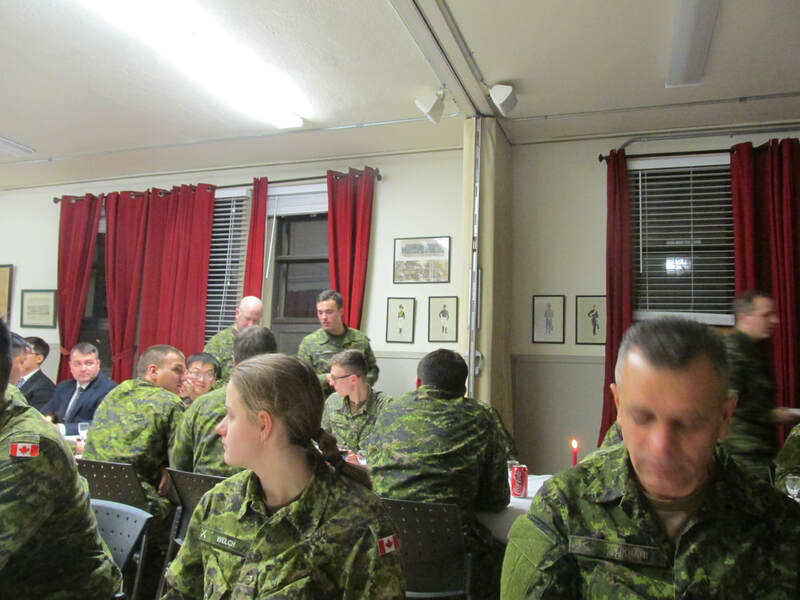 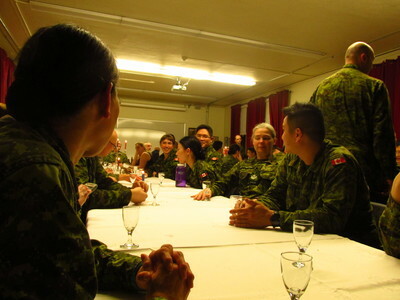 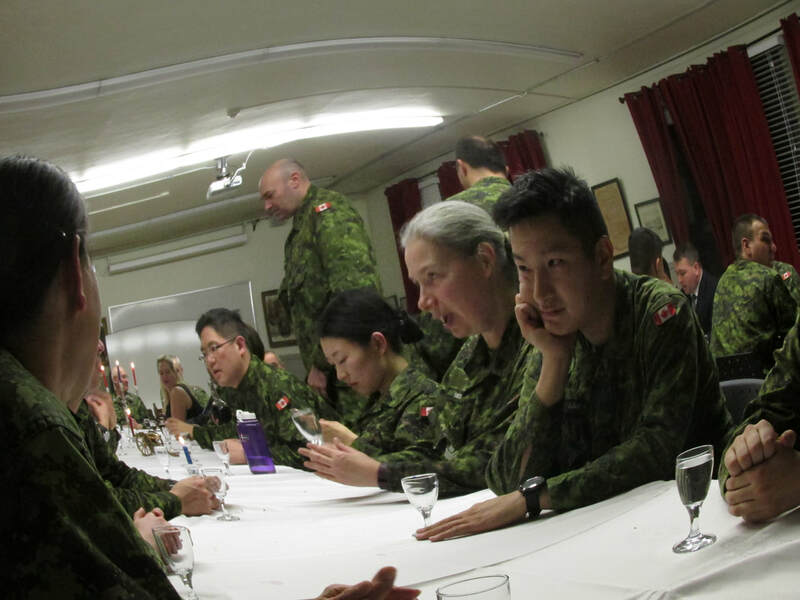 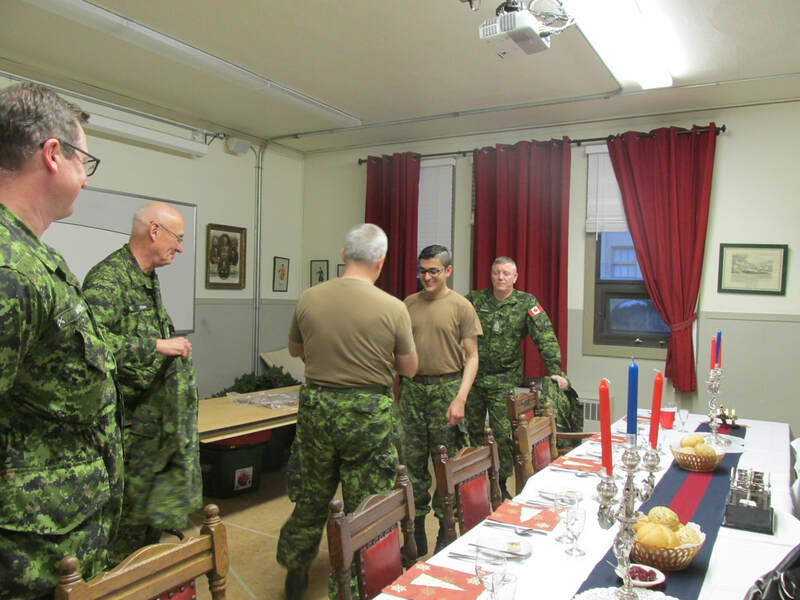 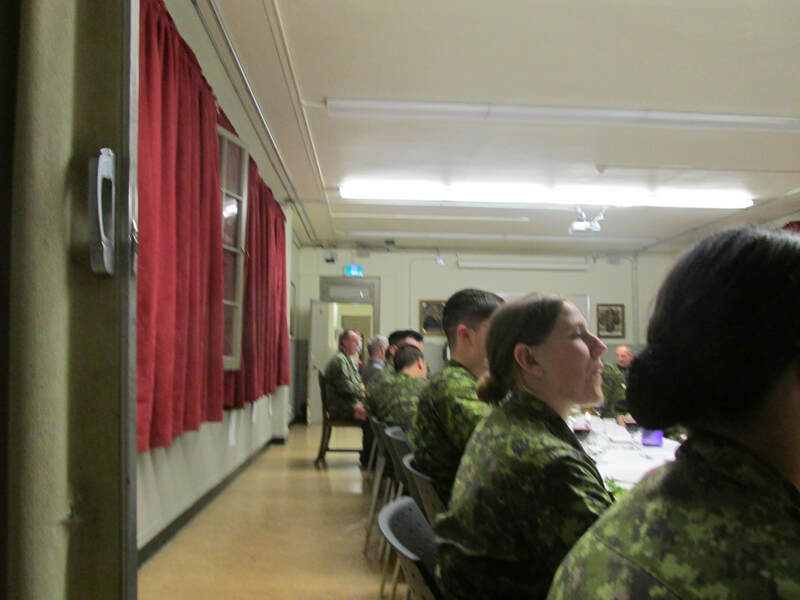 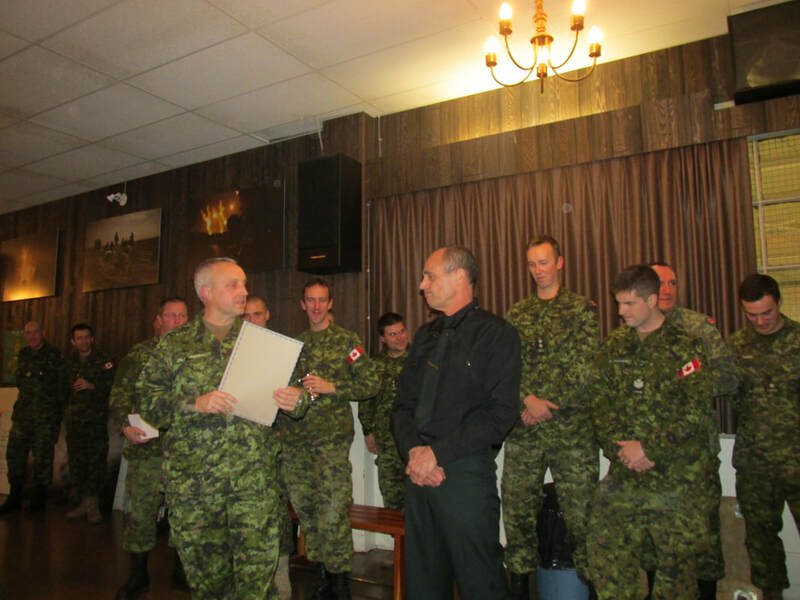 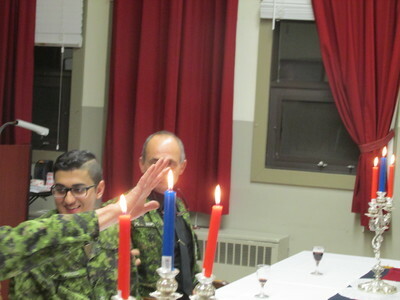 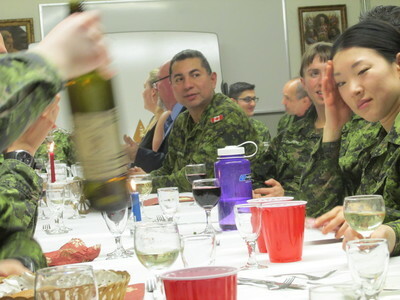 Other events during the Soldiers' Christmas Dinner included the promotion of Sergeant Crawford. 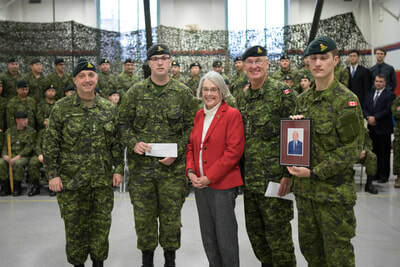 Mrs. Suzanne Veuger was on hand to present the Peter Veuger Scholarship Fund in memory of our former Honorary Lieutenant-Colonel. 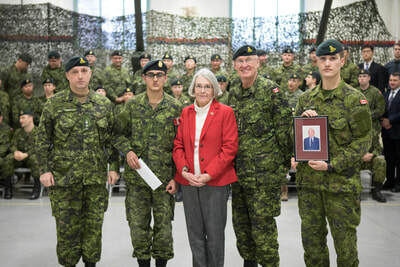 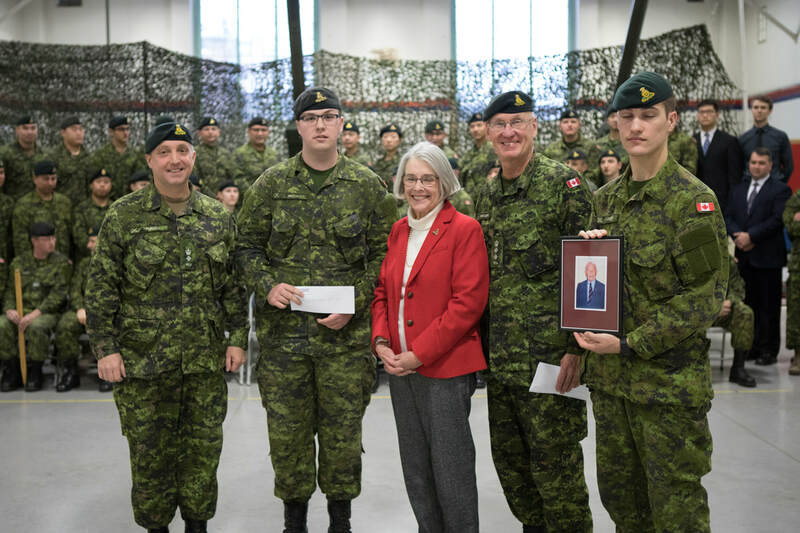 Three deserving soldiers, Bombardier Scott Patch and Private Syed were selected by the Commanding Officer and the Regimental Sergeant-Major and received $500 scholarships. Lieutenant-Colonel Brent Purcell, Bdr Scott Patch and Gunner Syed, Honorary Colonel Bill Rodgers and the Adjutant, Lieutenant Richard Jones. 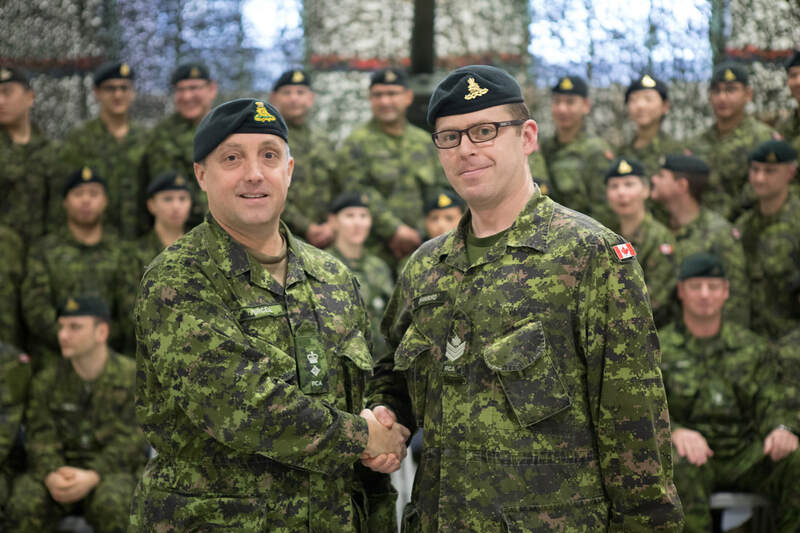 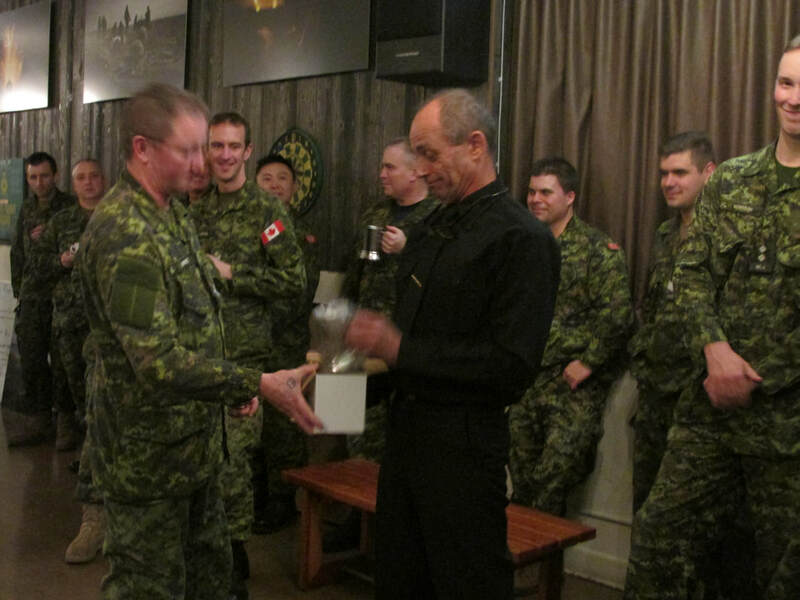 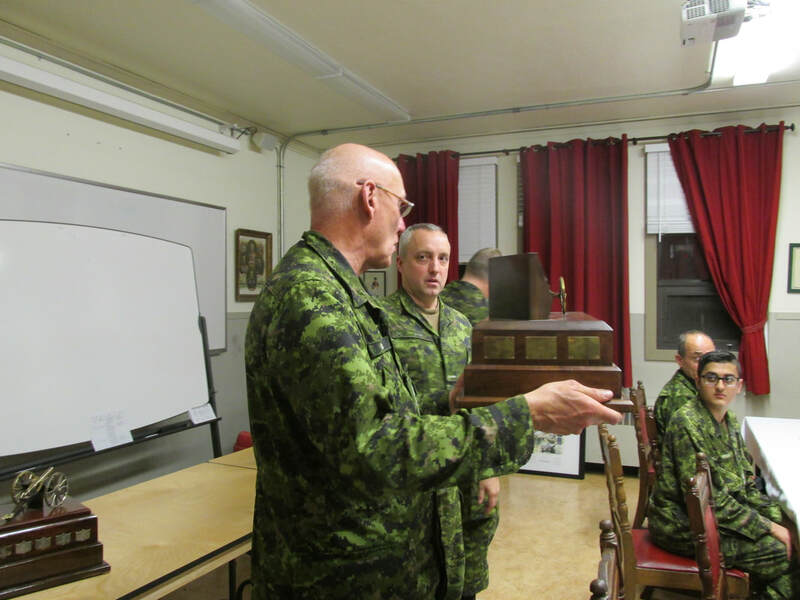 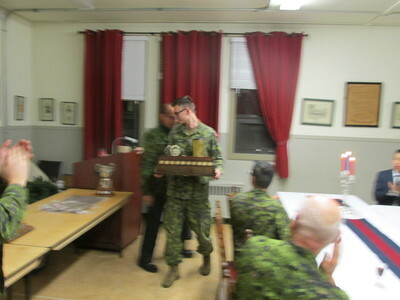 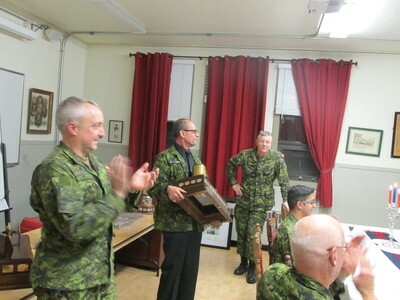 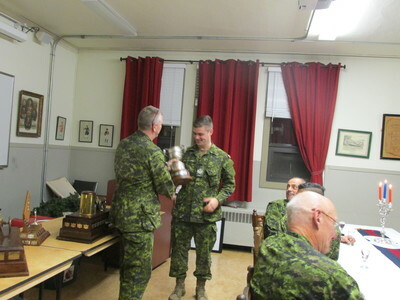 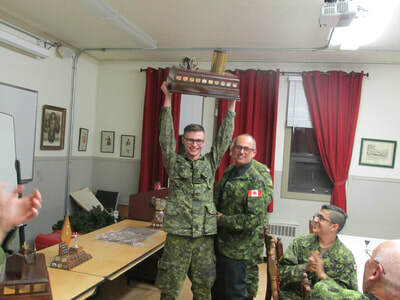 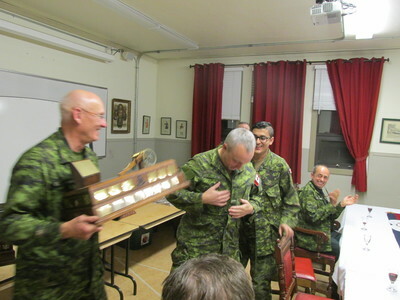 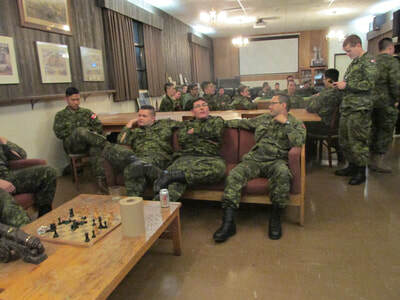 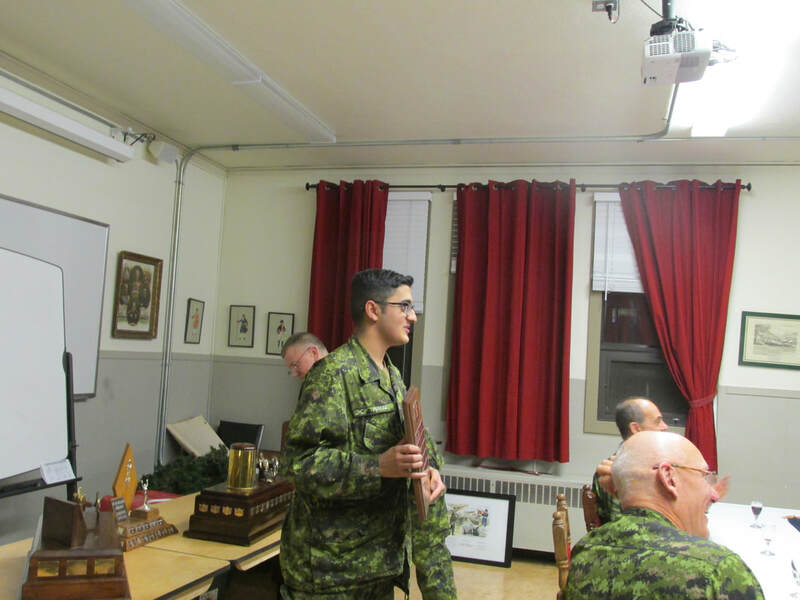 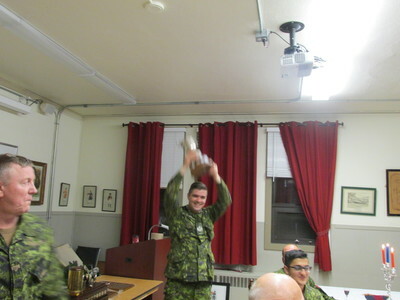 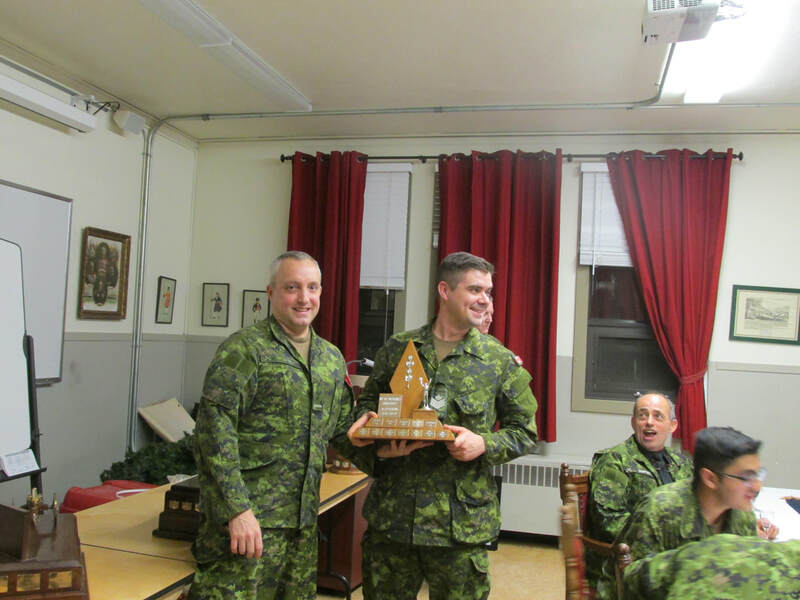 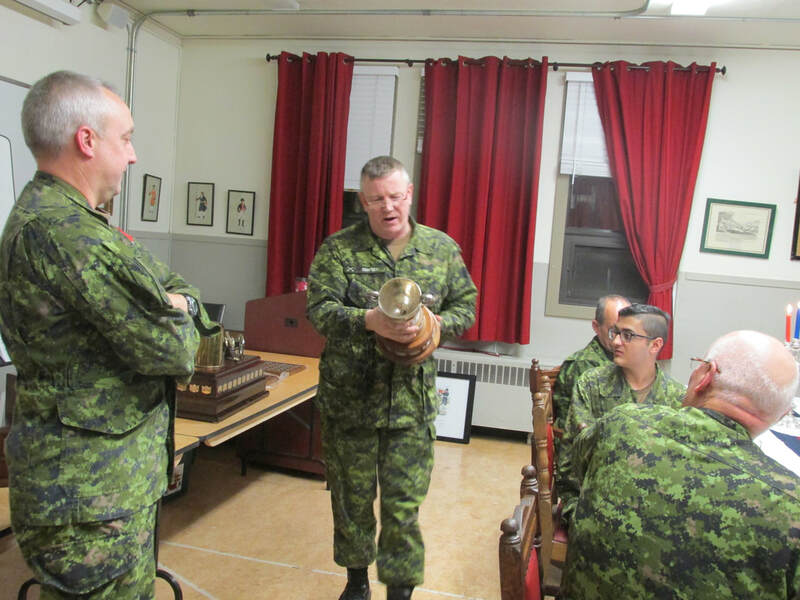 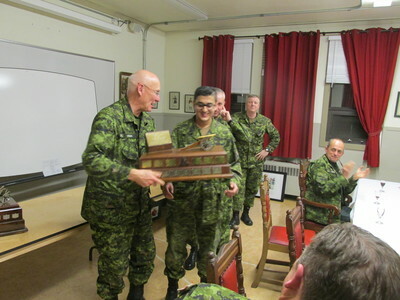 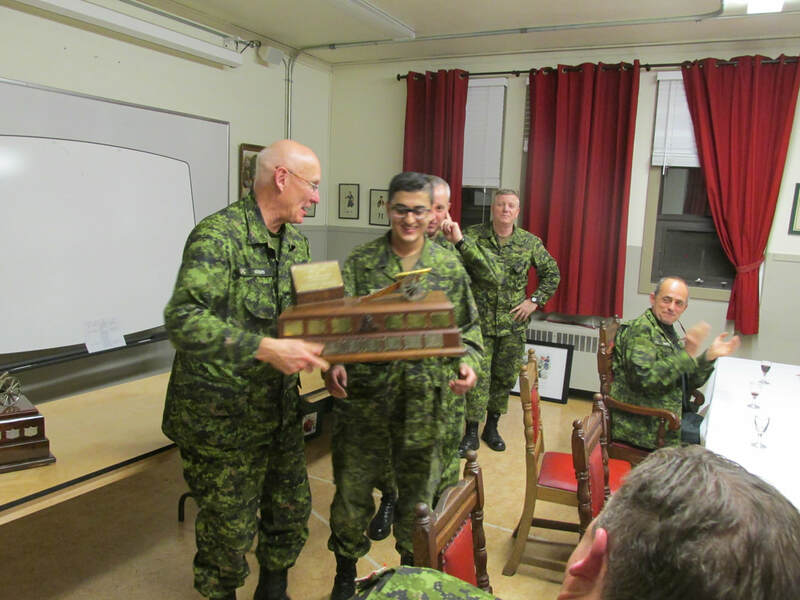 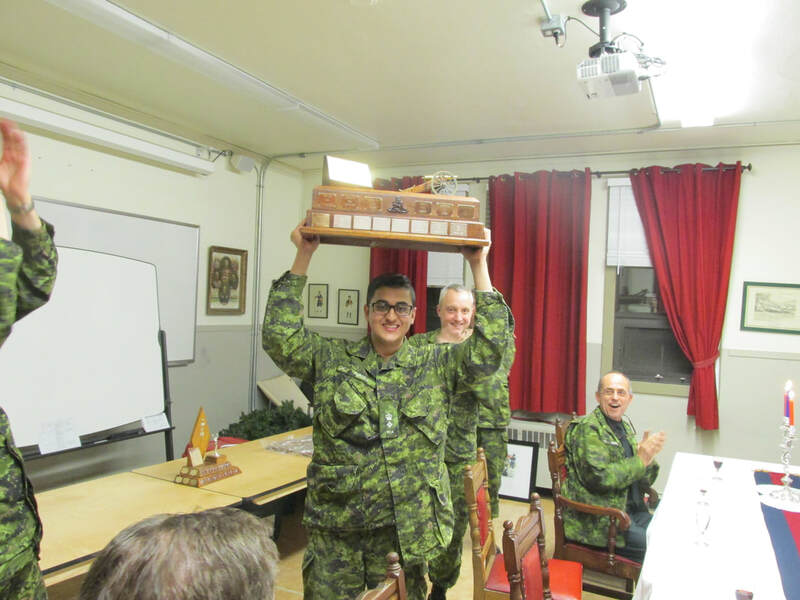 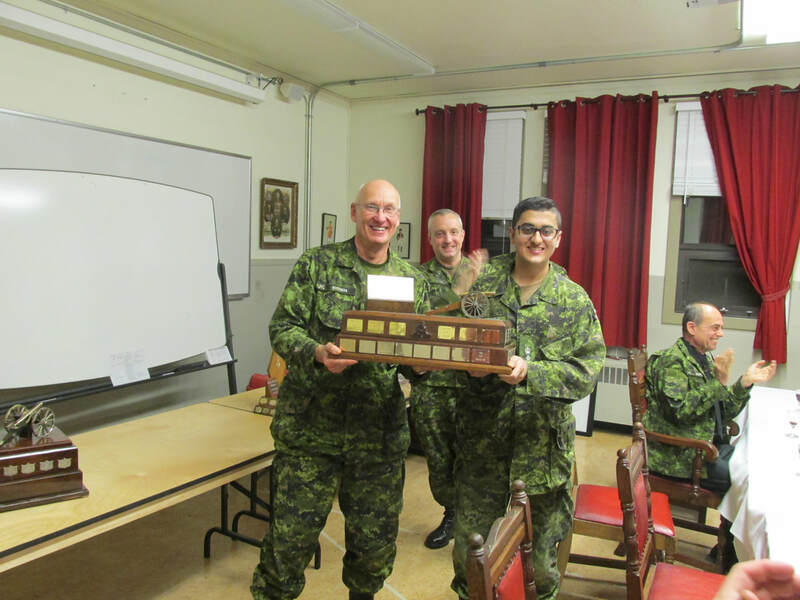 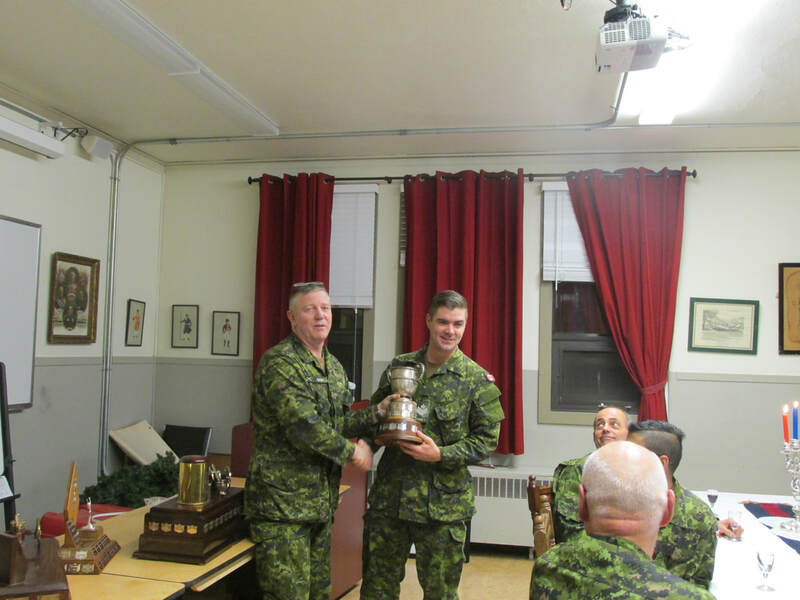 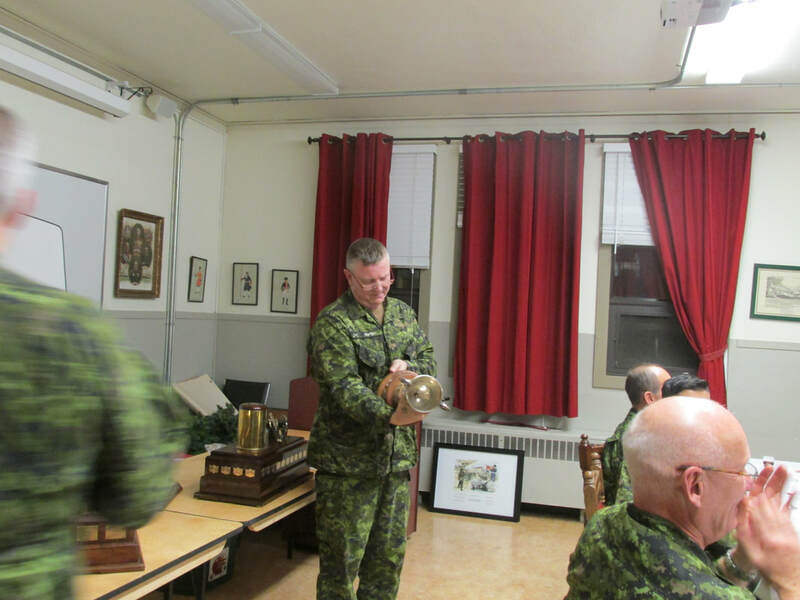 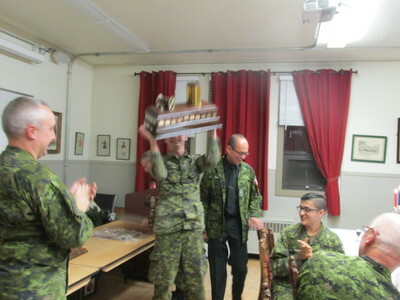 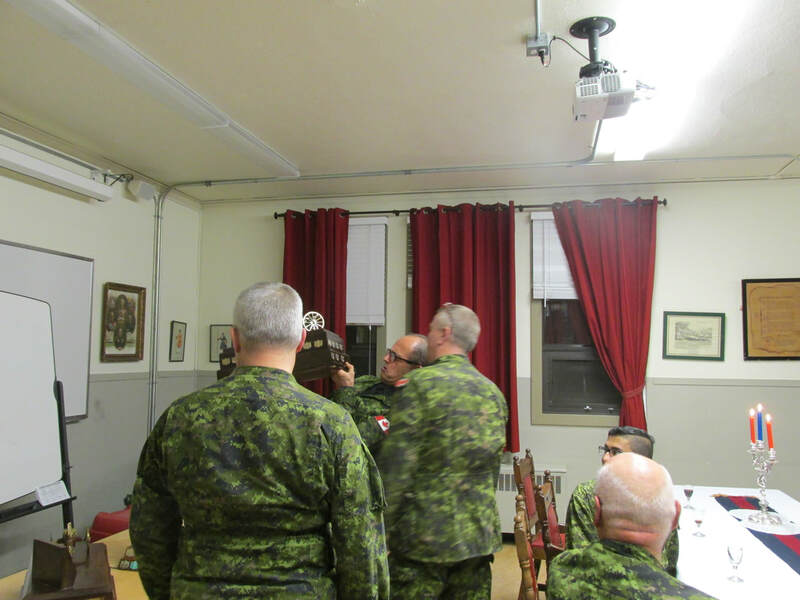 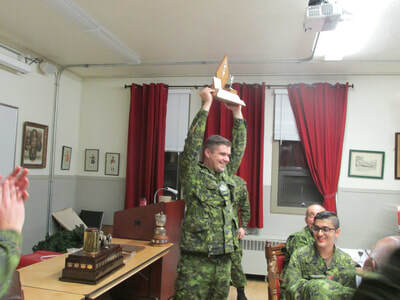 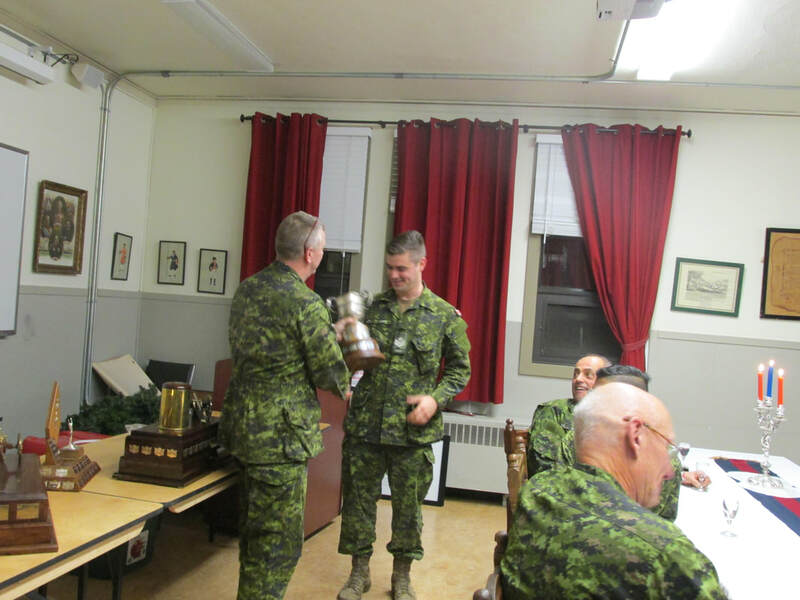 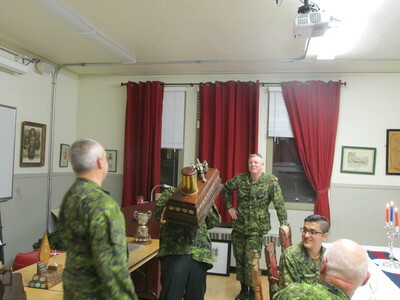 The 15th Field Regiment RCA Rifle Range Challenge Cup to Sergeant Dan Scott.